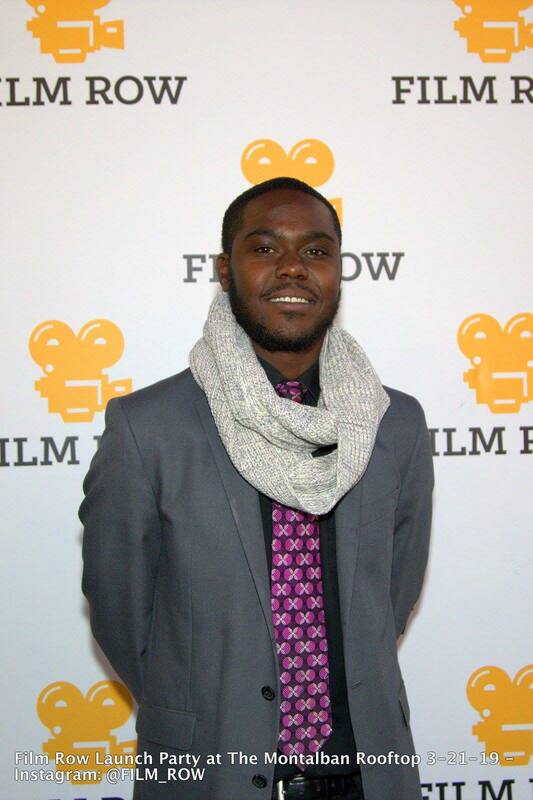 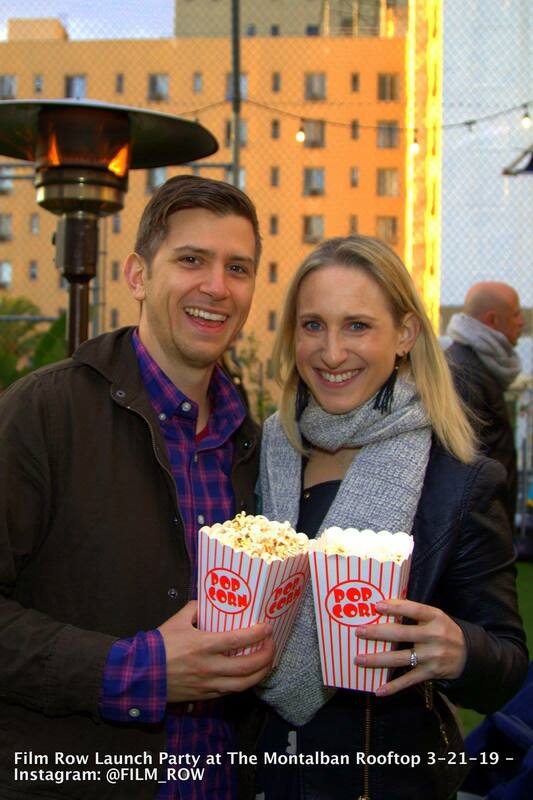 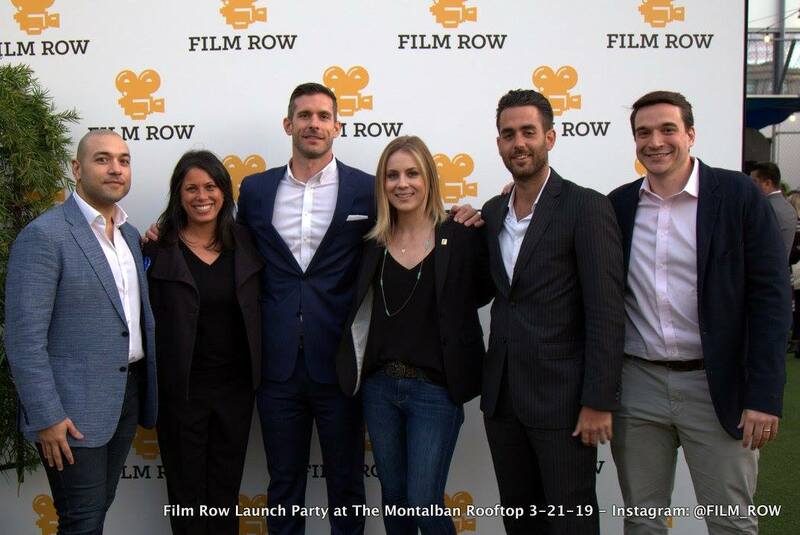 Will Rogers Motion Picture Pioneers Foundation (WRMPPF) is excited about the launch of Film Row, comprised of up-and-coming industry professionals who champion philanthropic endeavors while also providing personal and professional growth opportunities for the entertainment industry leaders of tomorrow. 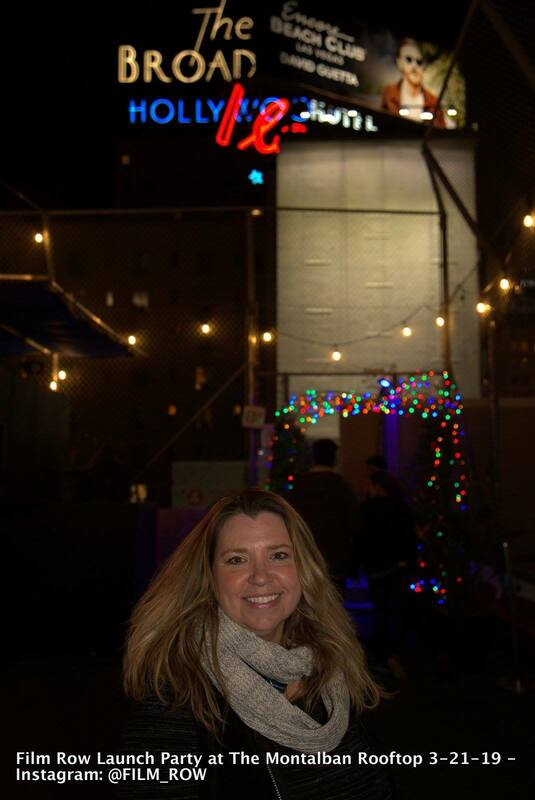 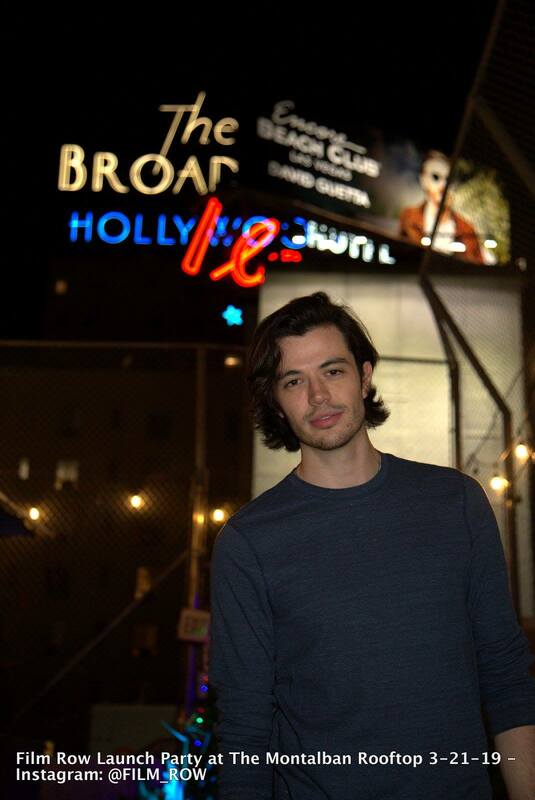 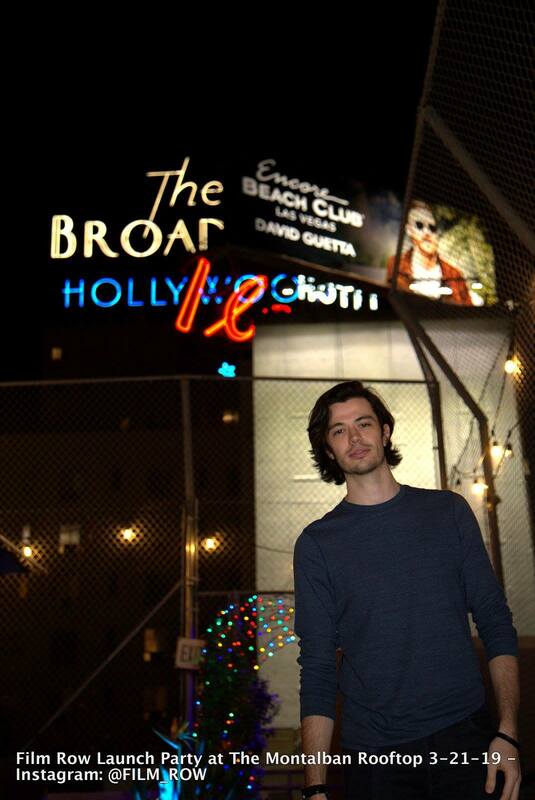 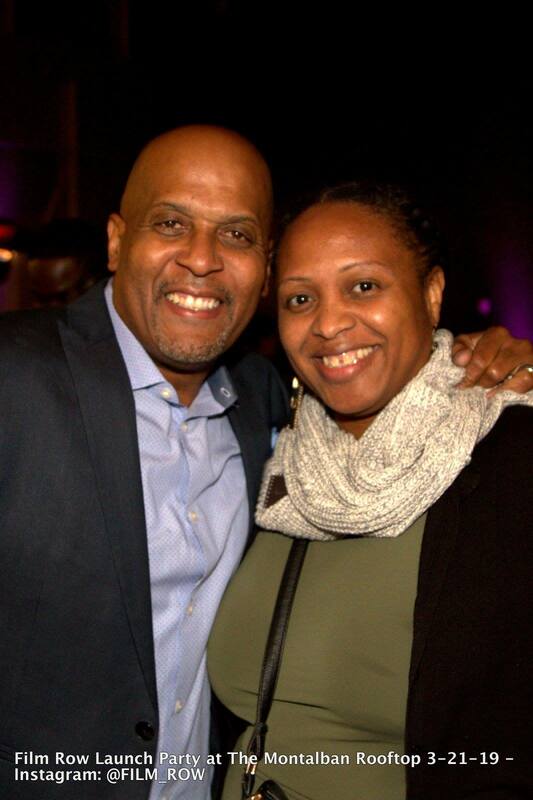 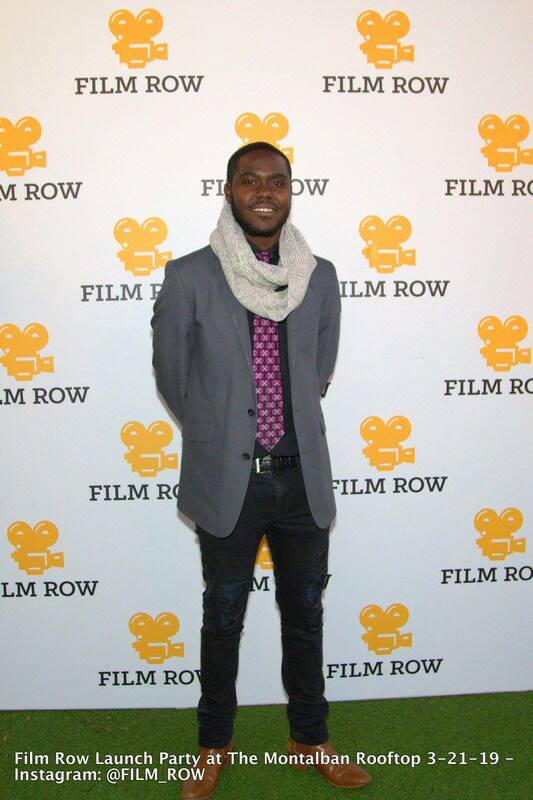 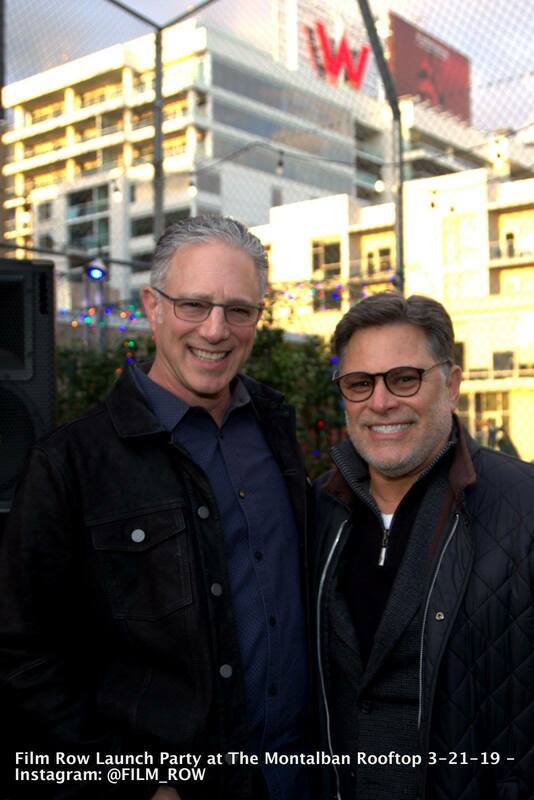 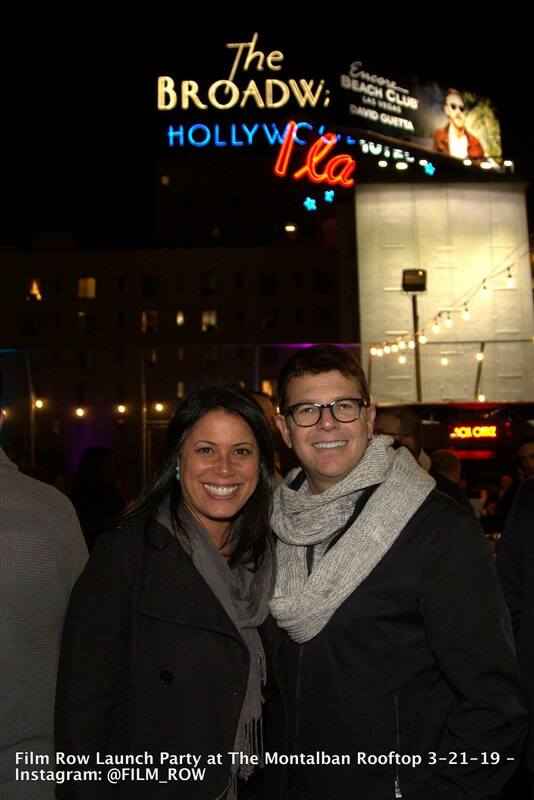 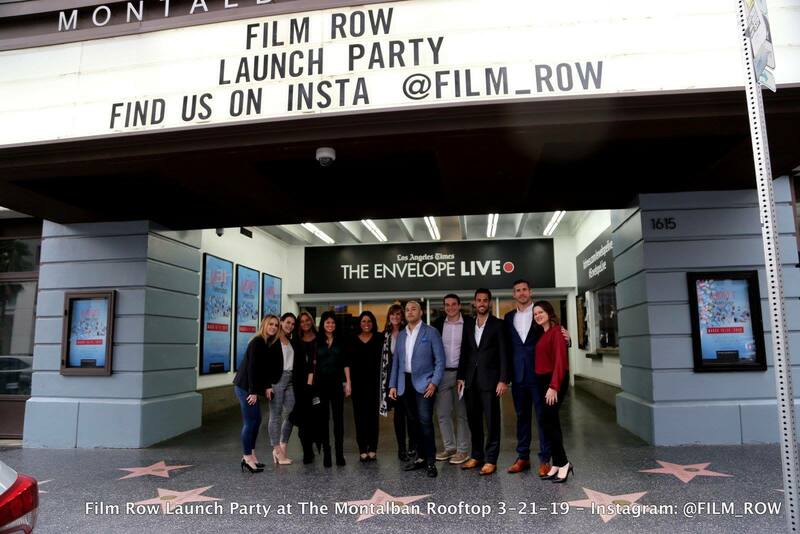 The objective of Film Row is to foster emerging leaders of the entertainment industry through educational programs, networking events and philanthropic endeavors that benefit the entertainment industry and beyond. 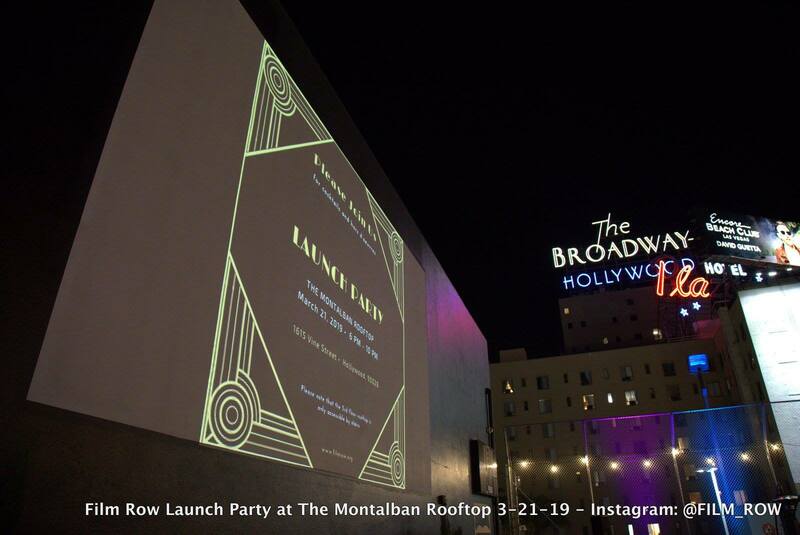 WRMPPF’s relationship with the entertainment industry dates back to the days of vaudeville, when tuberculosis was rampant among vaudevillians who often lived in close quarters, when they traveled throughout the country. 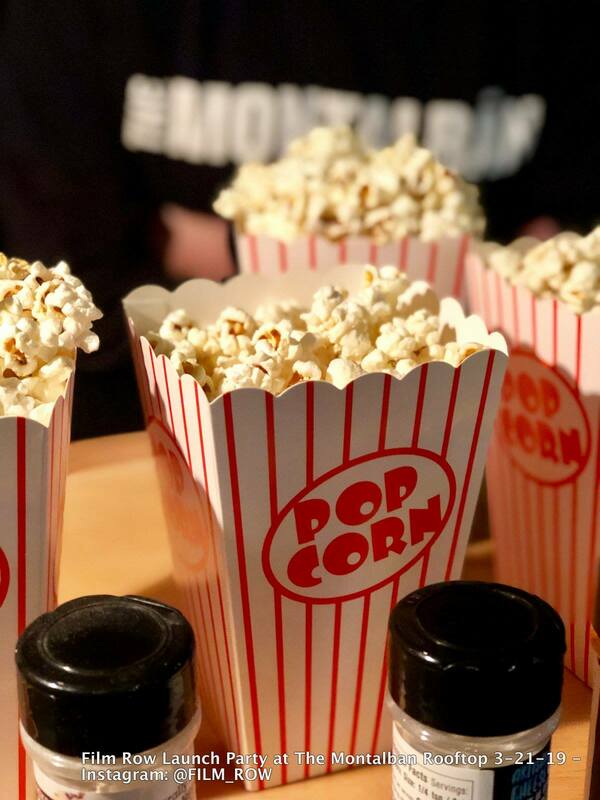 To combat the disease, the National Vaudeville Association opened a tuberculosis sanatorium in upstate New York, the NVA Lodge. 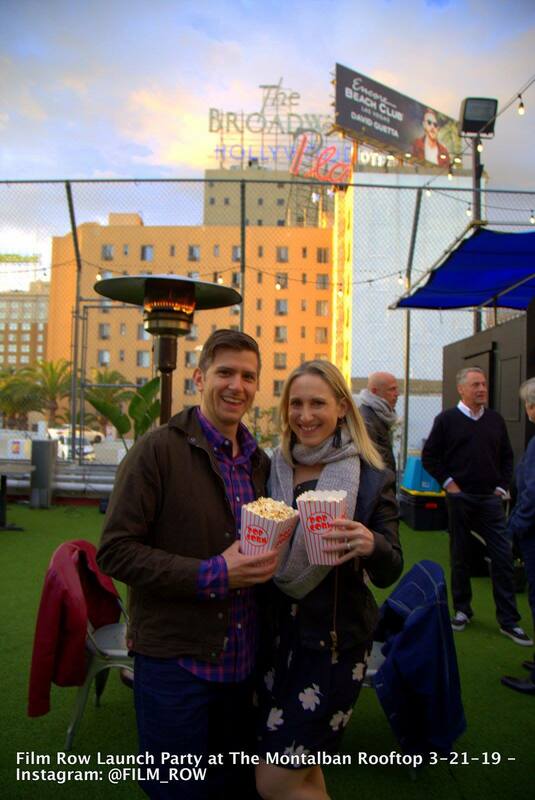 After Will Rogers’ tragic death, the name of the hospital was changed in 1936 to the Will Rogers Memorial Hospital. 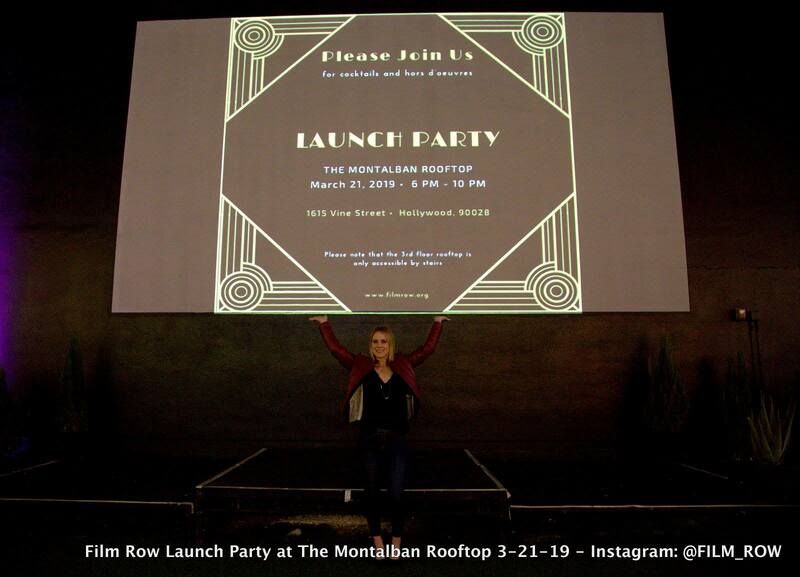 The hospital became a national training facility for doctors treating patients with tuberculosis, becoming known as the Will Rogers Institute. 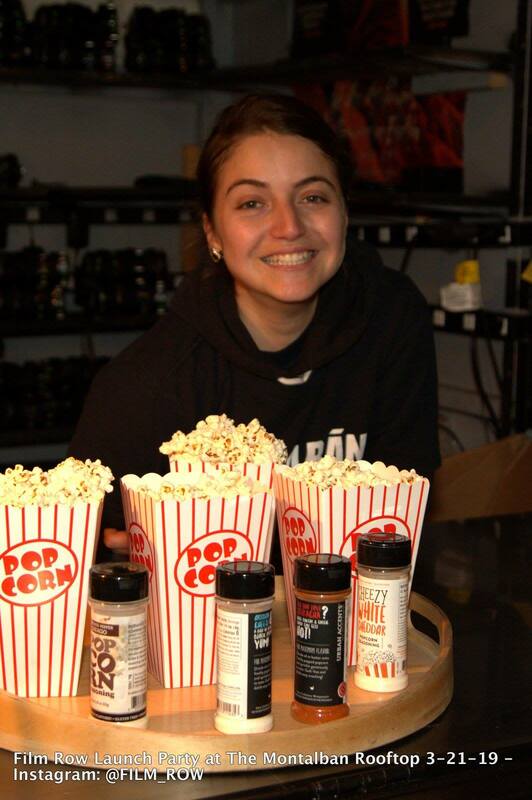 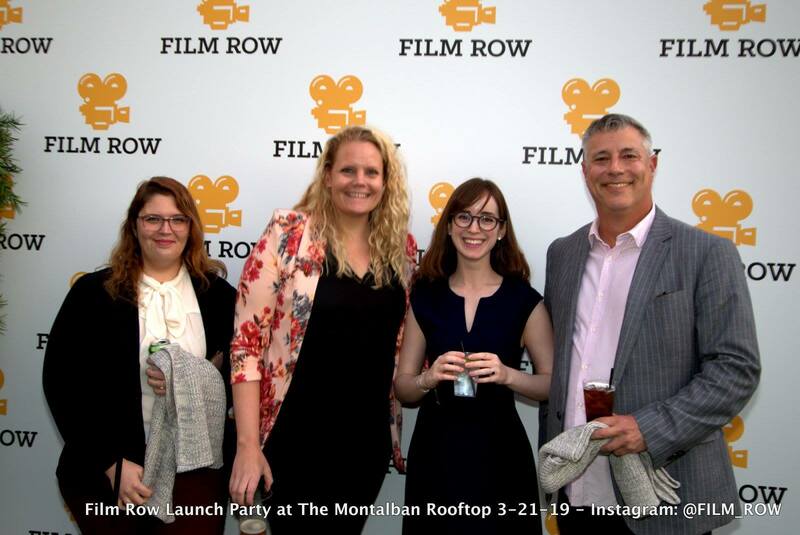 In 2002, the Will Rogers charity merged with the Foundation of Motion Picture Pioneers (FMPP) and became the Will Rogers Motion Picture Pioneers Foundation. 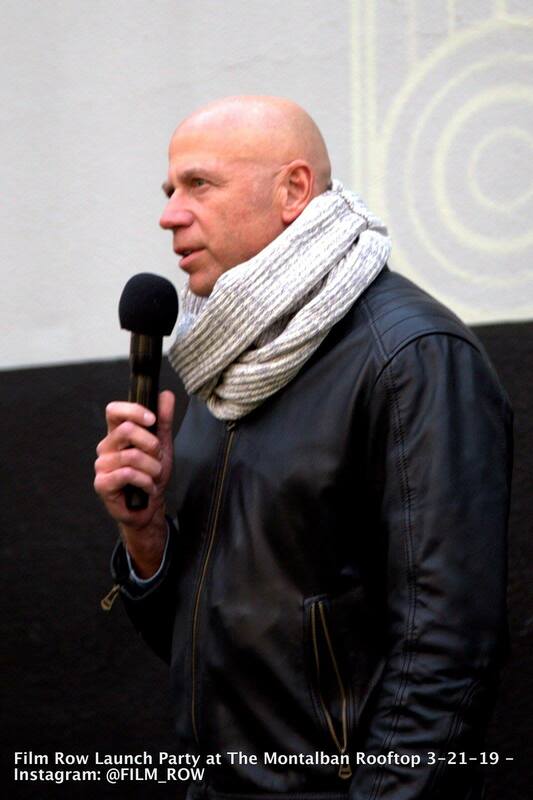 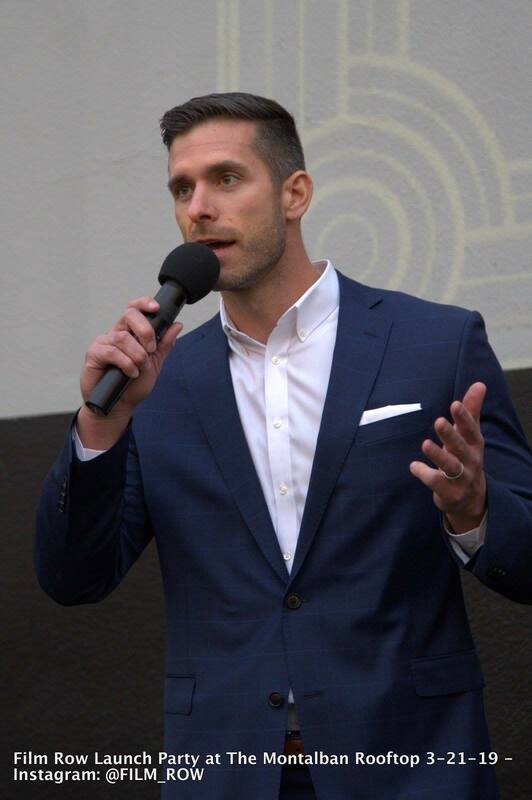 The Foundation perpetuates Rogers’ legacy through the operation of three programs, Brave Beginnings which works to ensure that ventilators and life-saving neonatal equipment is always available to newborns in critical need, the Pioneers Assistance Fund which provides financial assistance and social services to members of the motion picture distribution and exhibition community who encounter an illness, injury, or a life-changing event, and the Will Rogers Institute which is committed to promoting medical research pertaining to cardiopulmonary diseases and educating the public on topics of health and wellness. 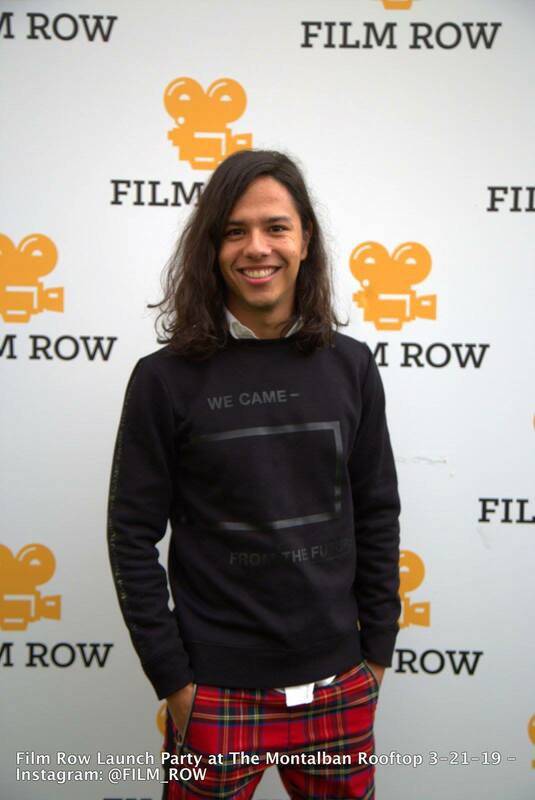 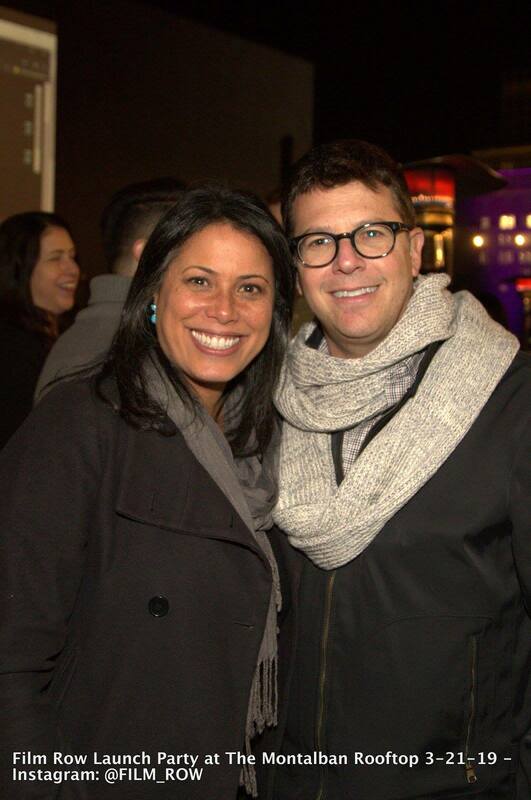 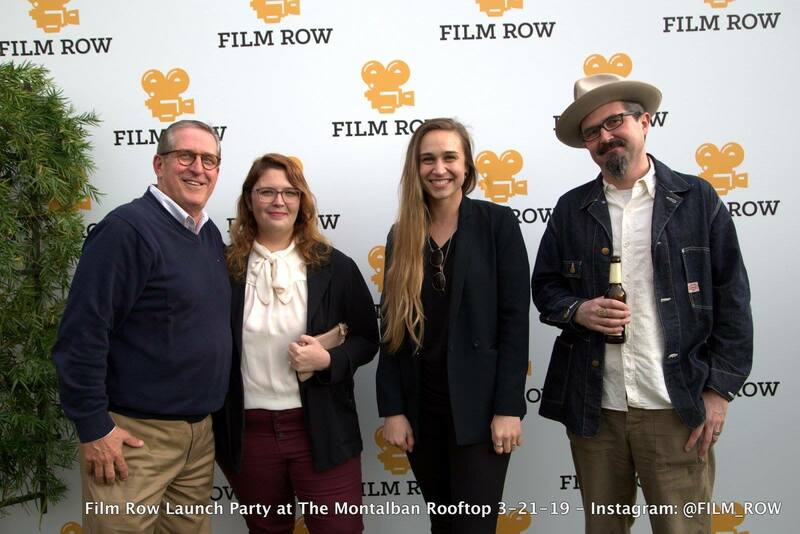 “Will Rogers Motion Picture Pioneers Foundation is delighted to support Film Row as it engages the next generation of industry leaders and brings together our entire motion picture community,” said Todd Vradenburg, executive director, WRMPPF. 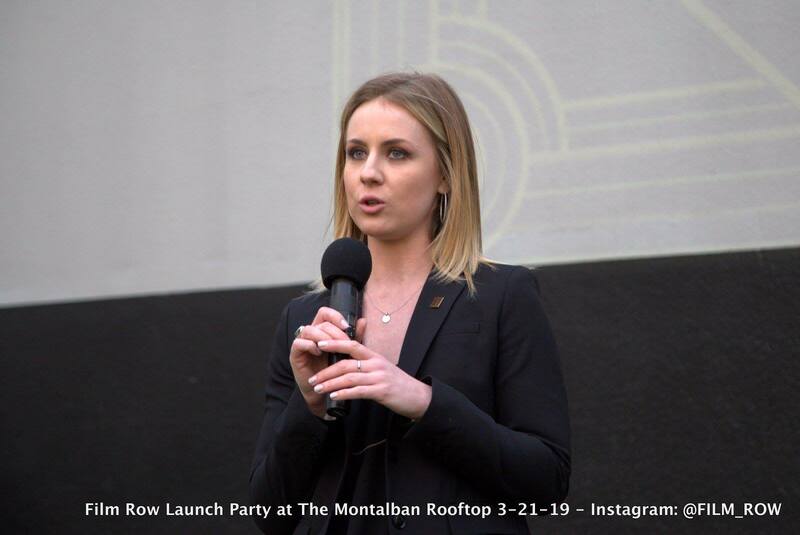 “Our industry is full of terrific people willing to help one another, and now, more than ever, we look to foster the next generation as they transition into leadership roles an ultimately become the future of our industry,” Vradenburg continued. 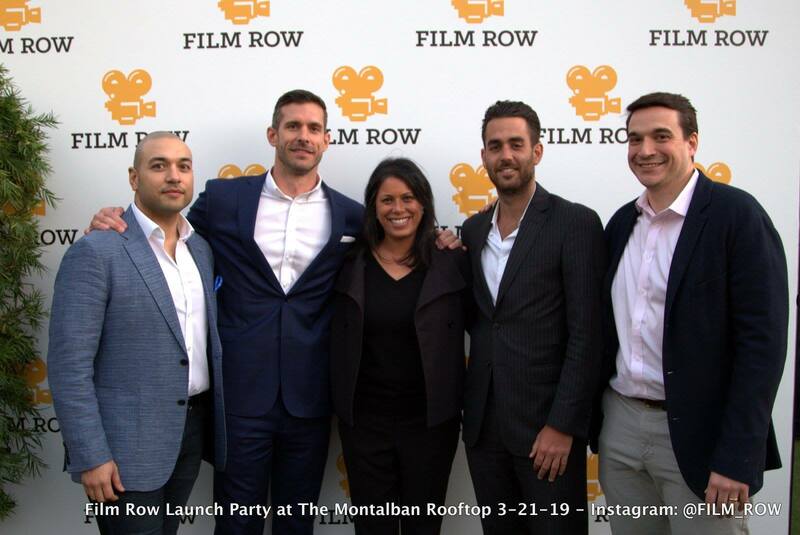 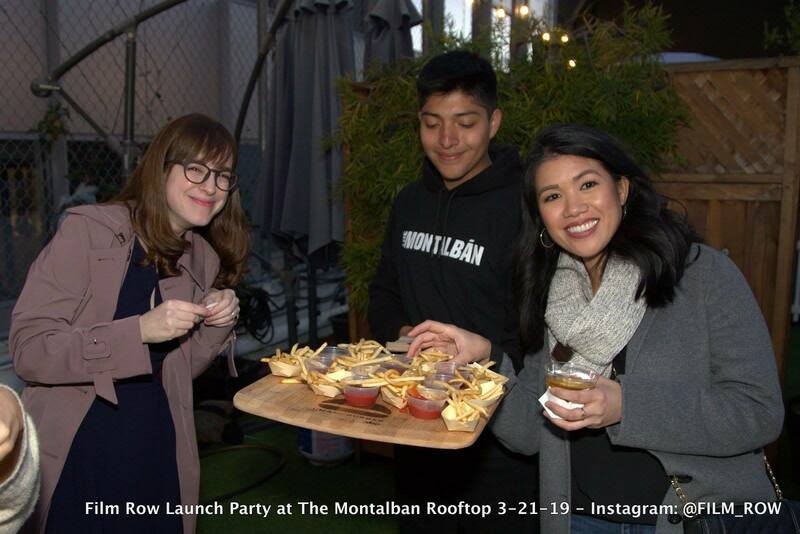 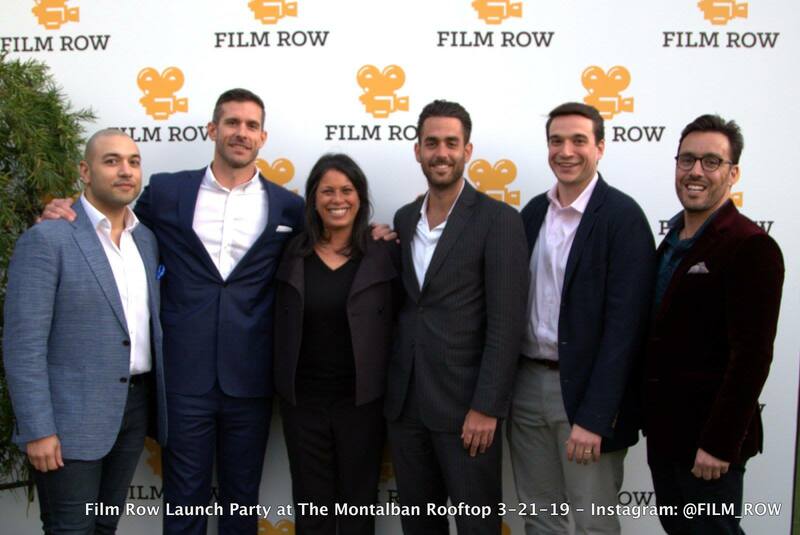 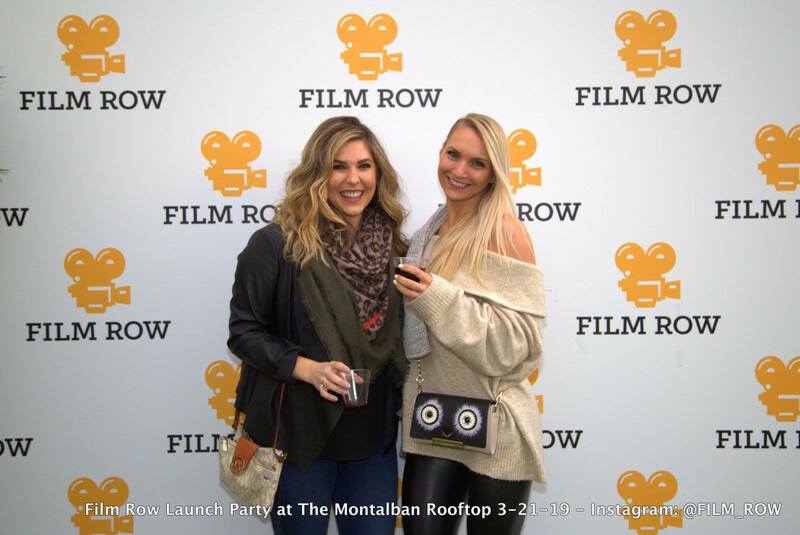 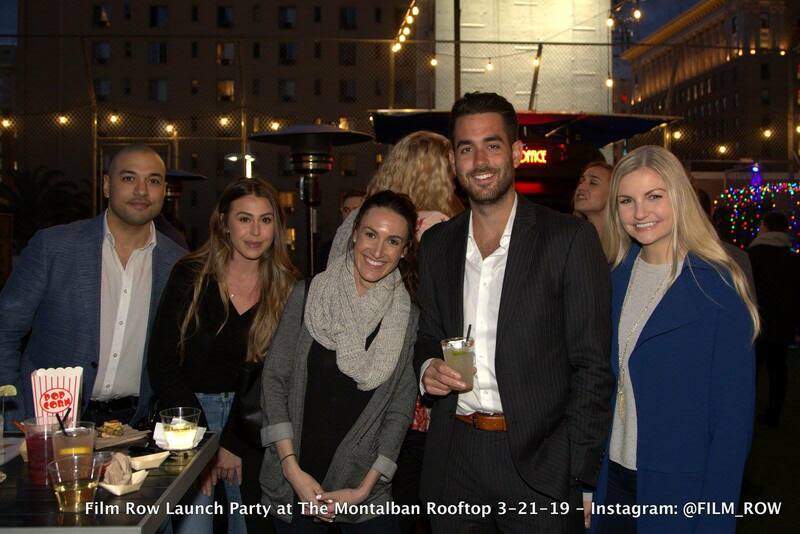 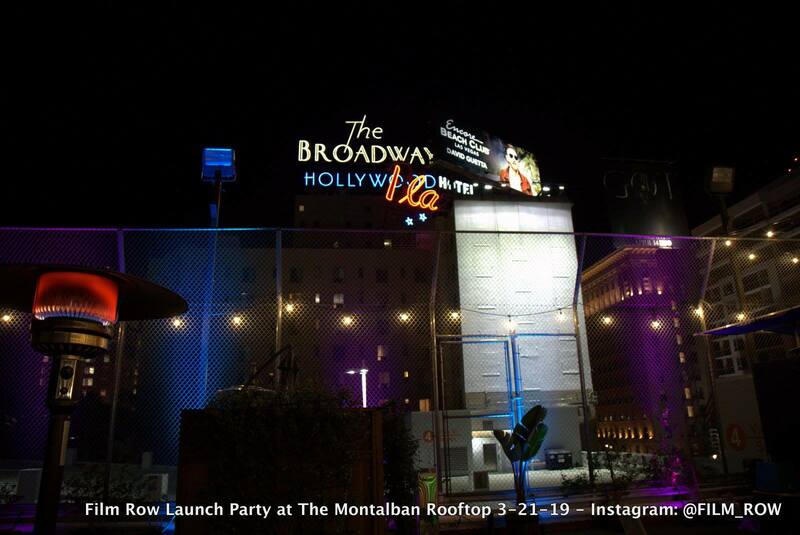 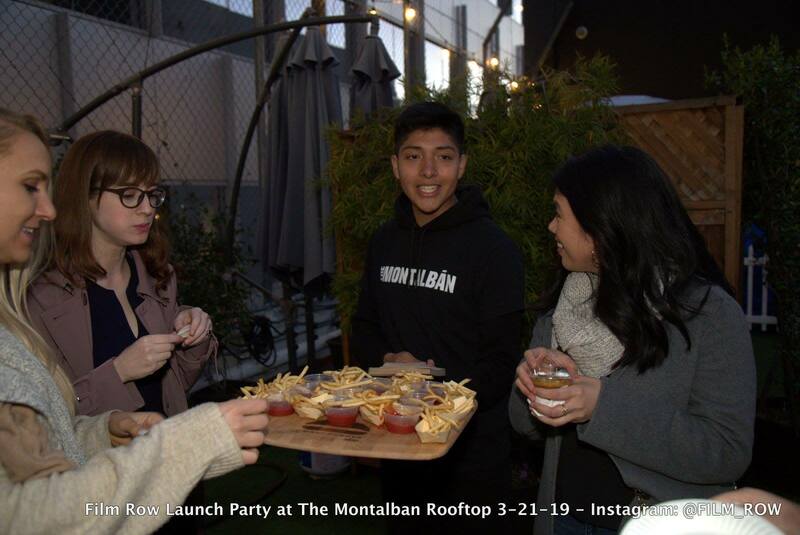 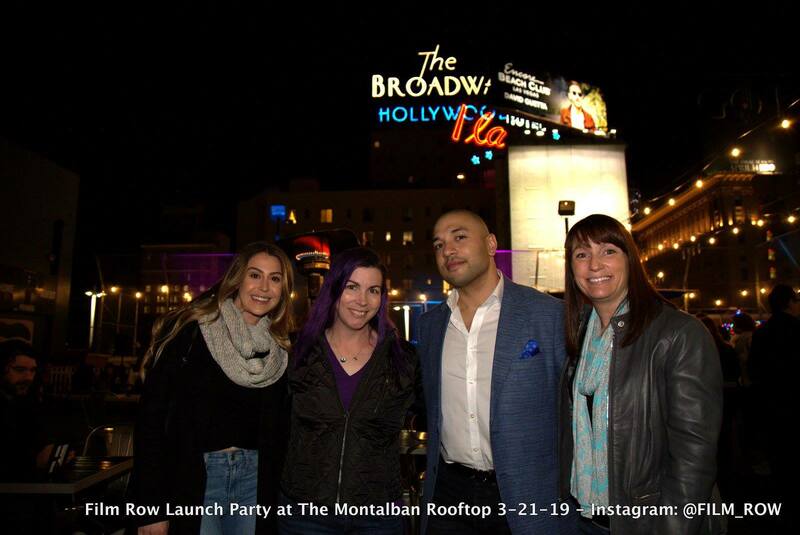 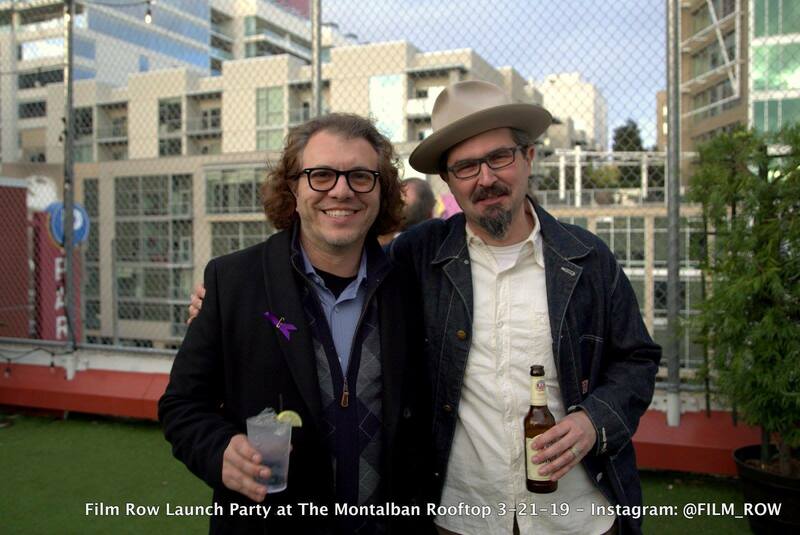 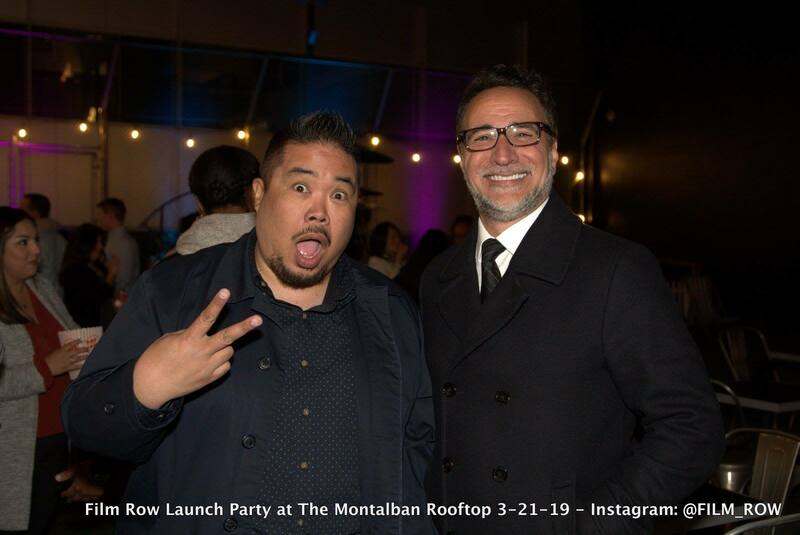 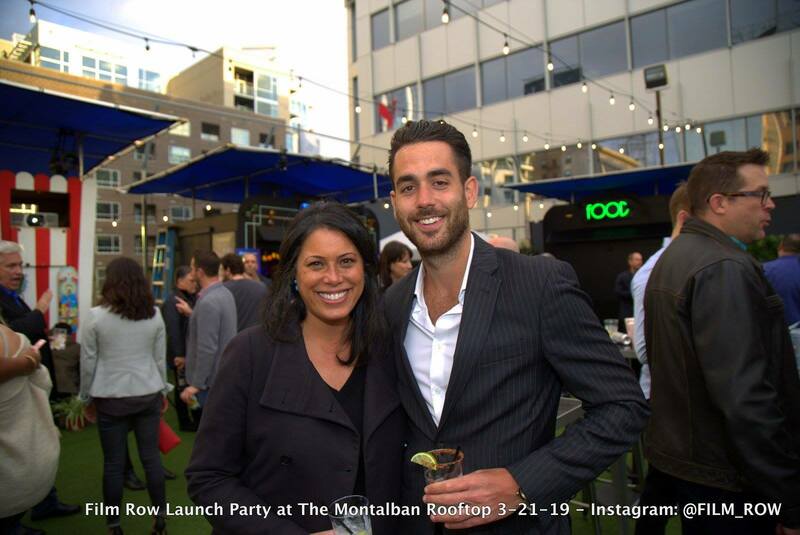 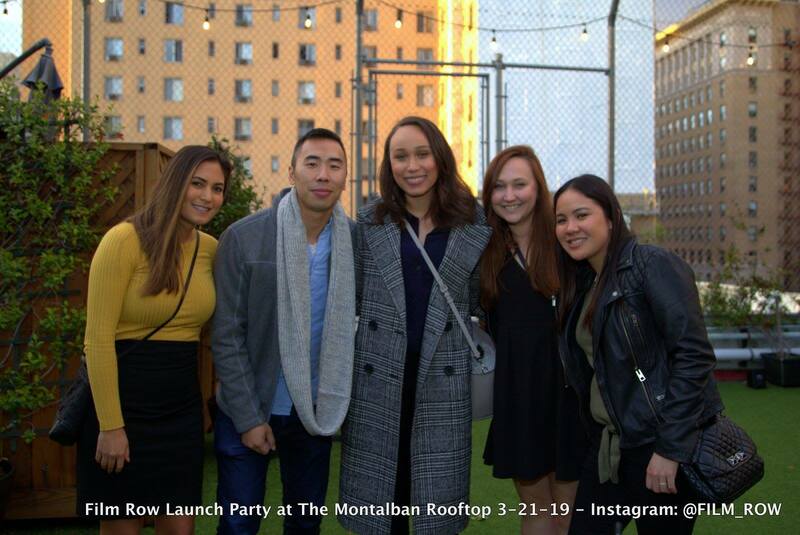 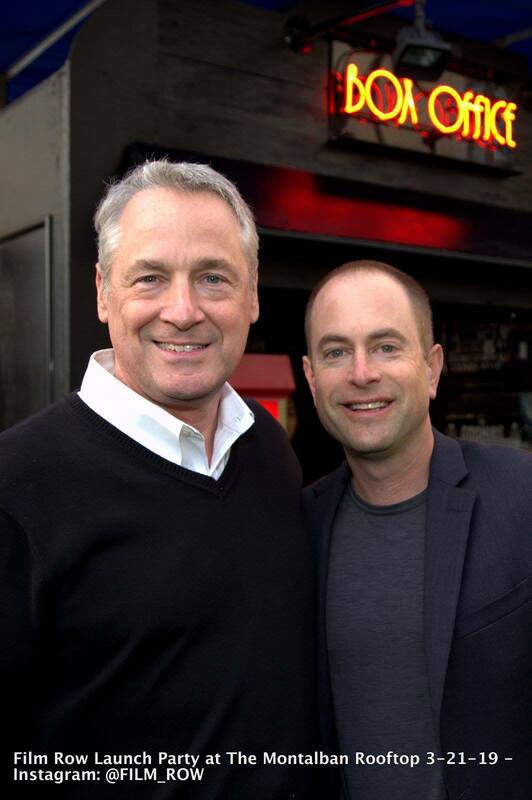 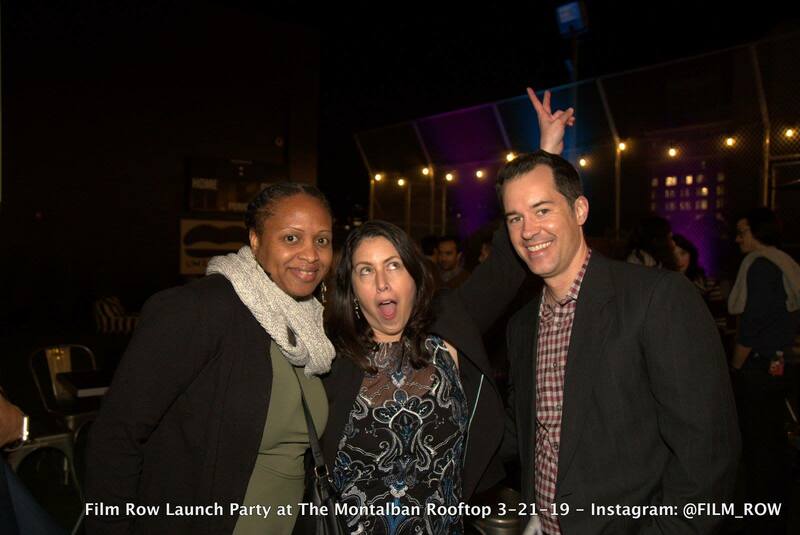 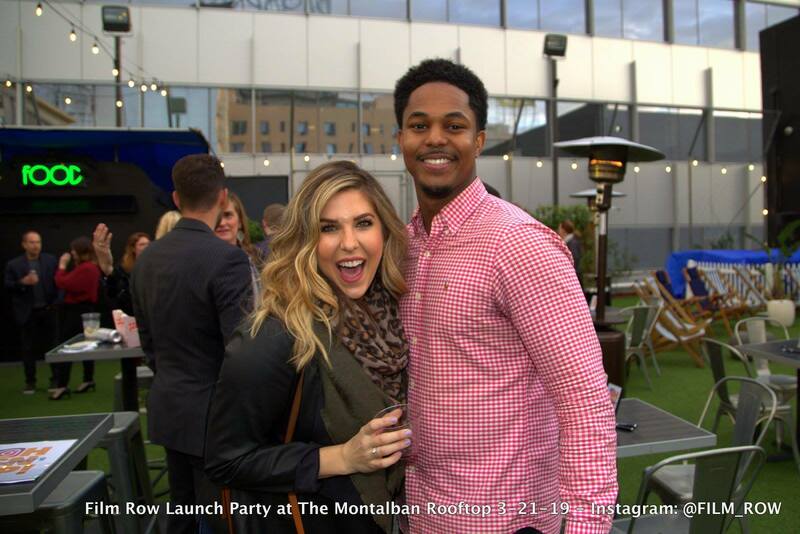 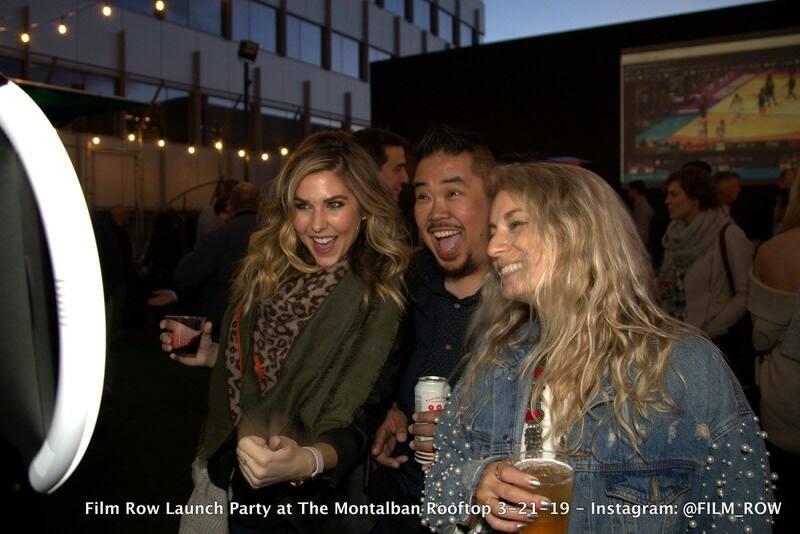 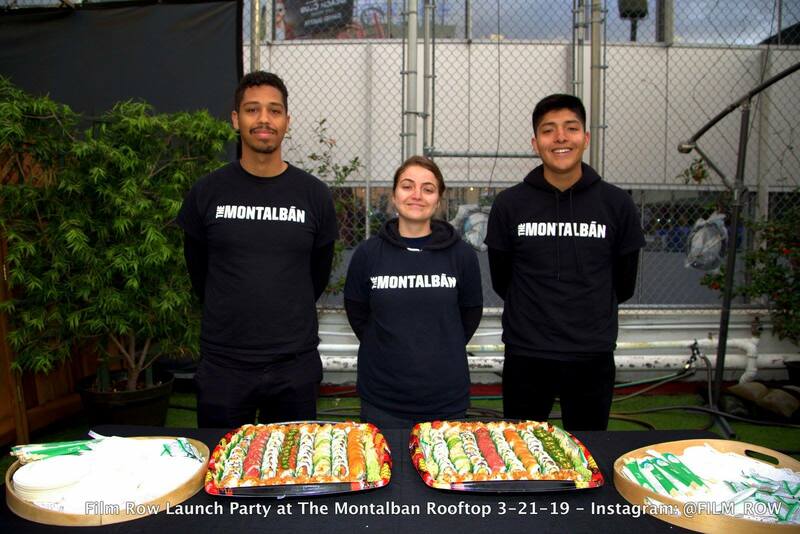 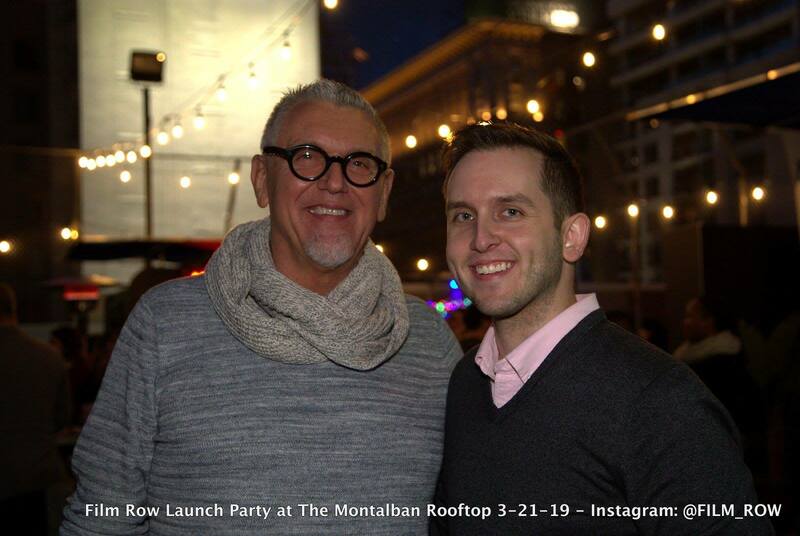 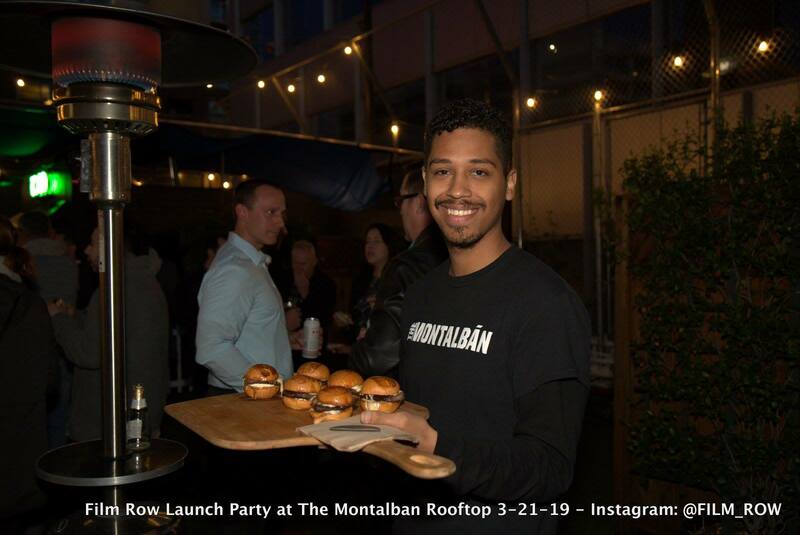 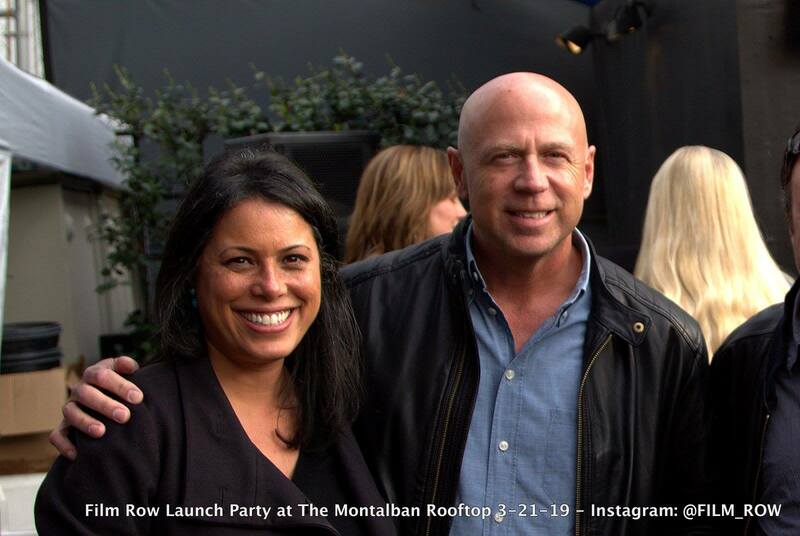 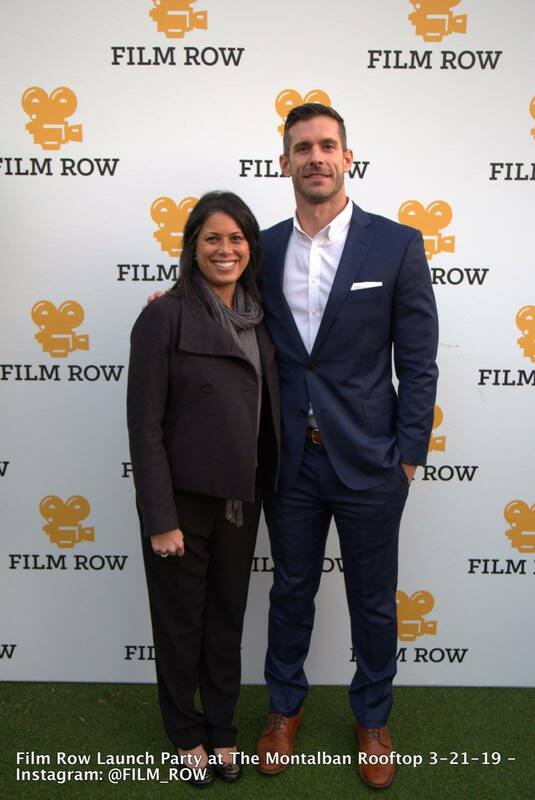 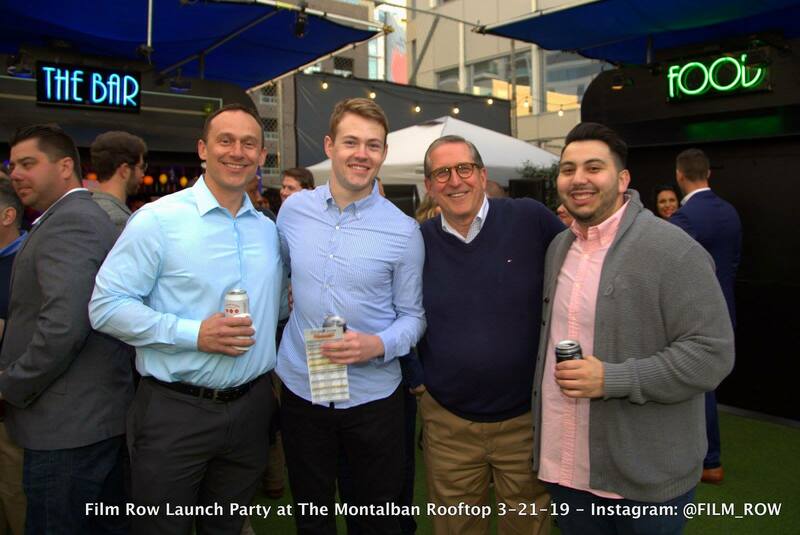 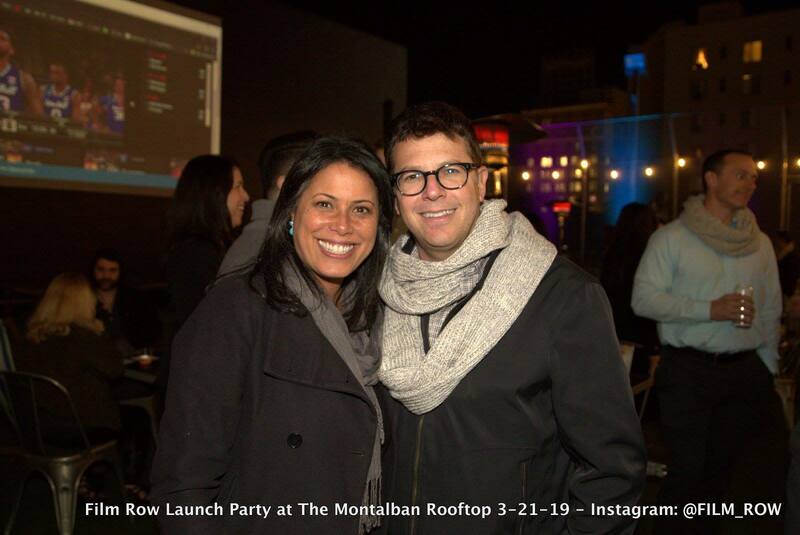 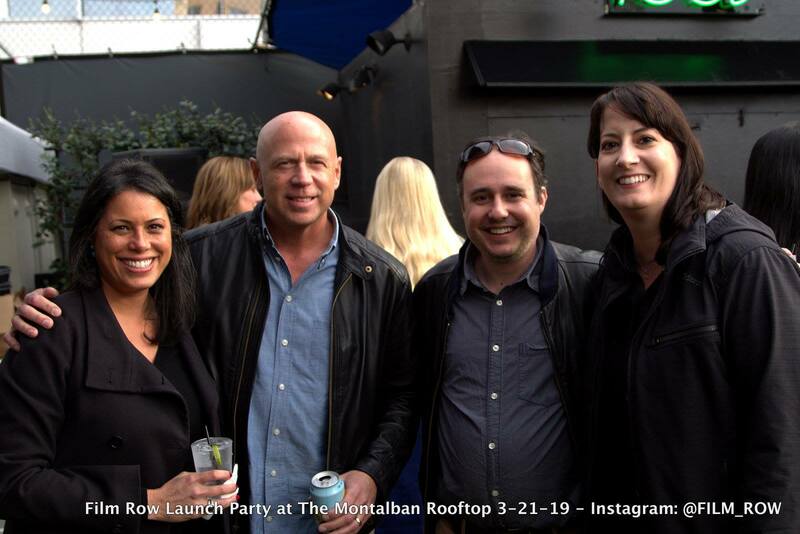 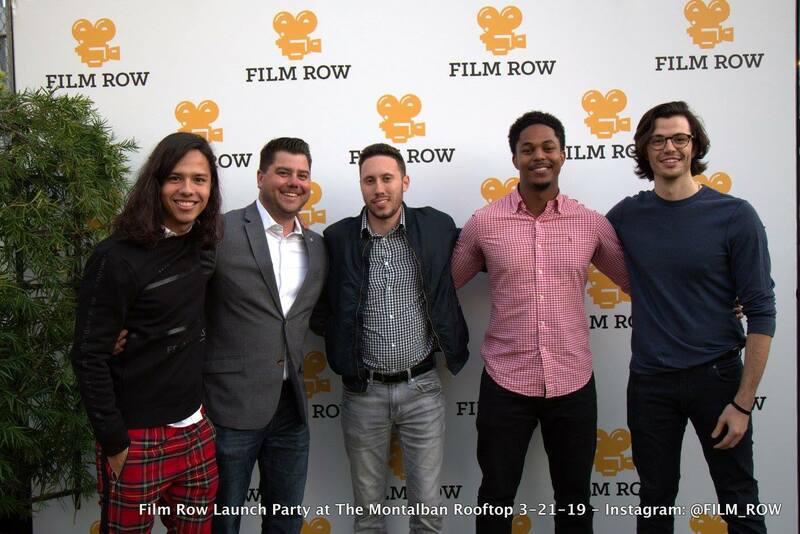 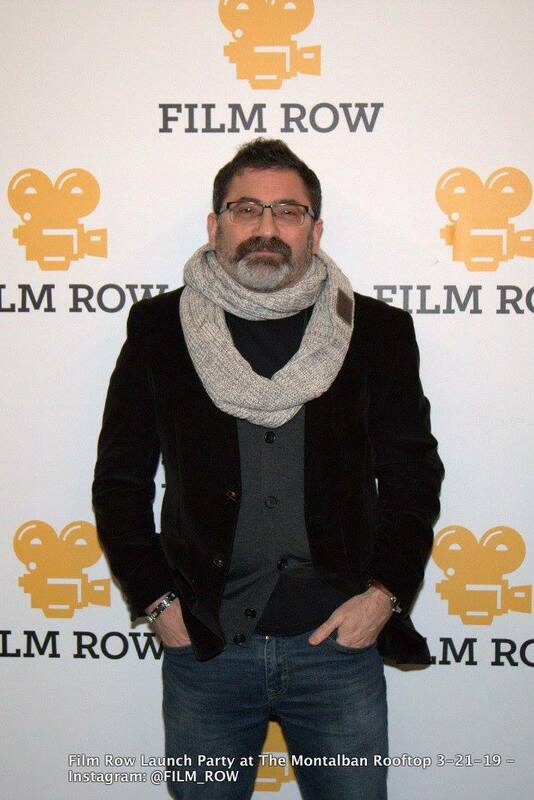 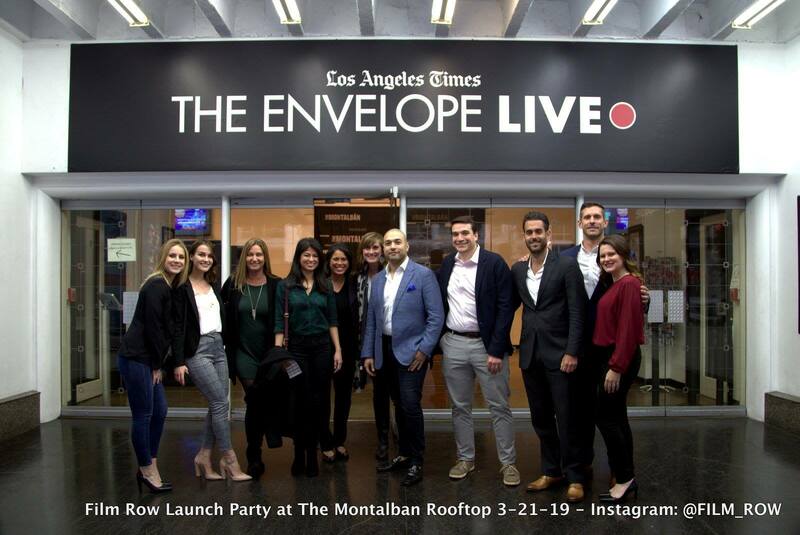 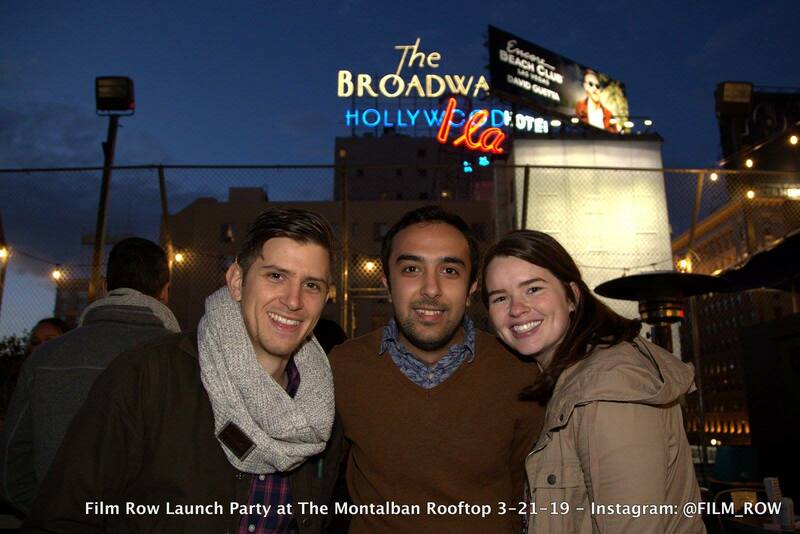 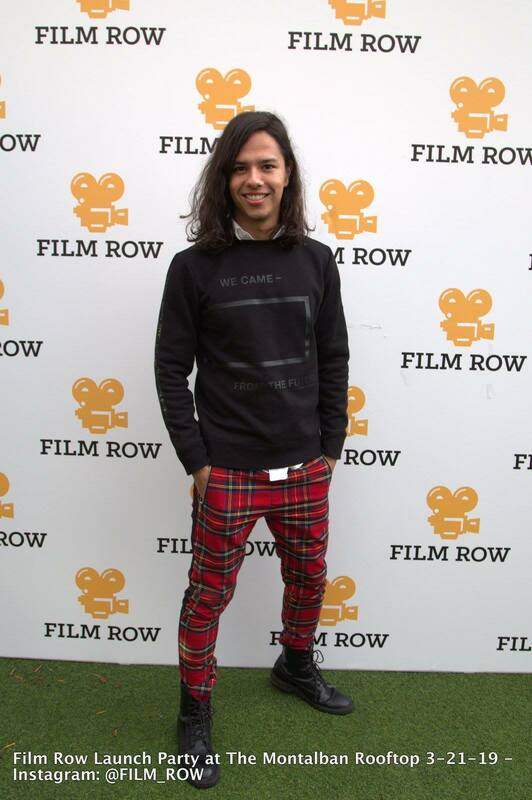 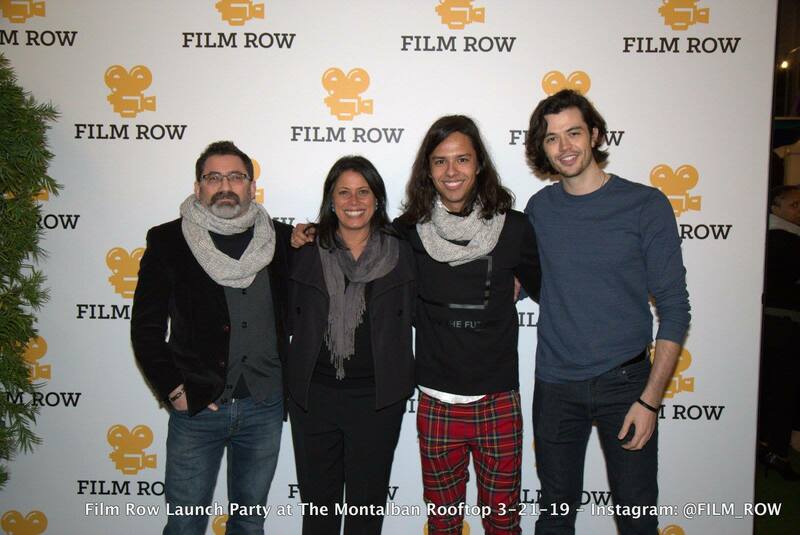 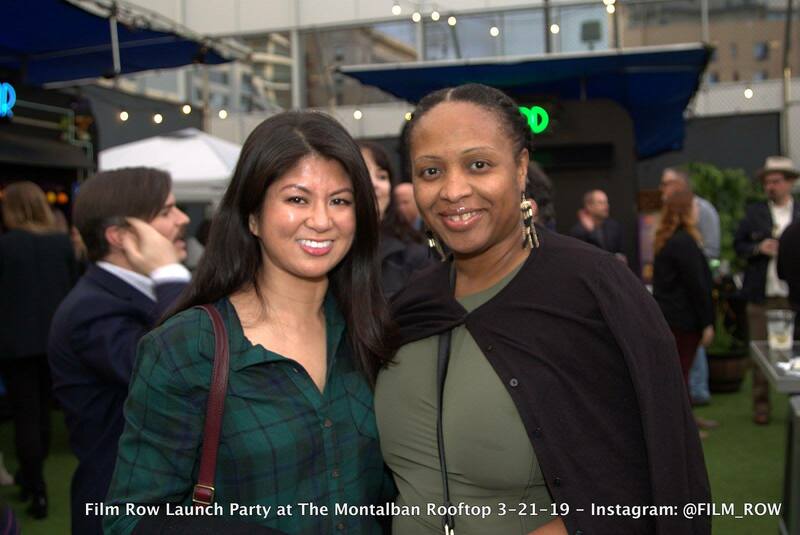 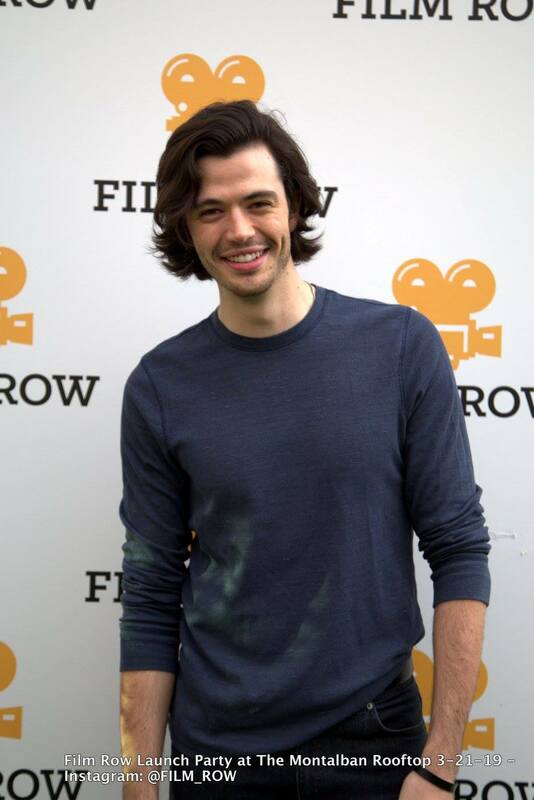 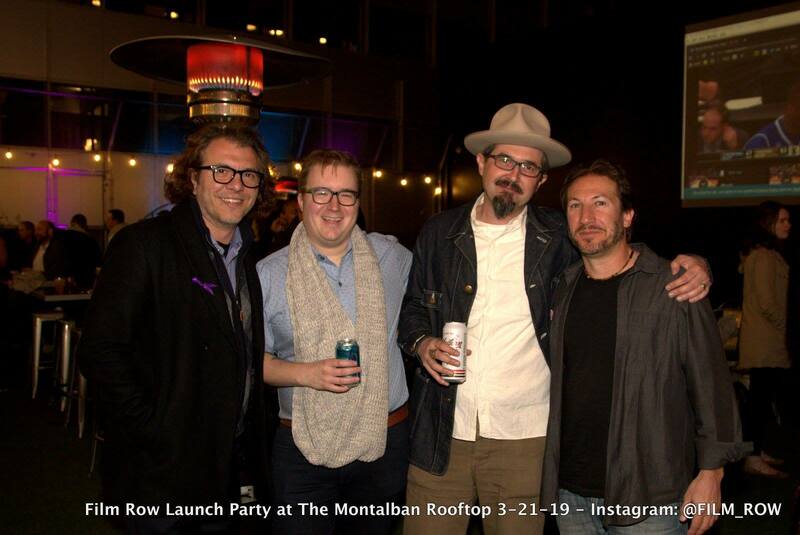 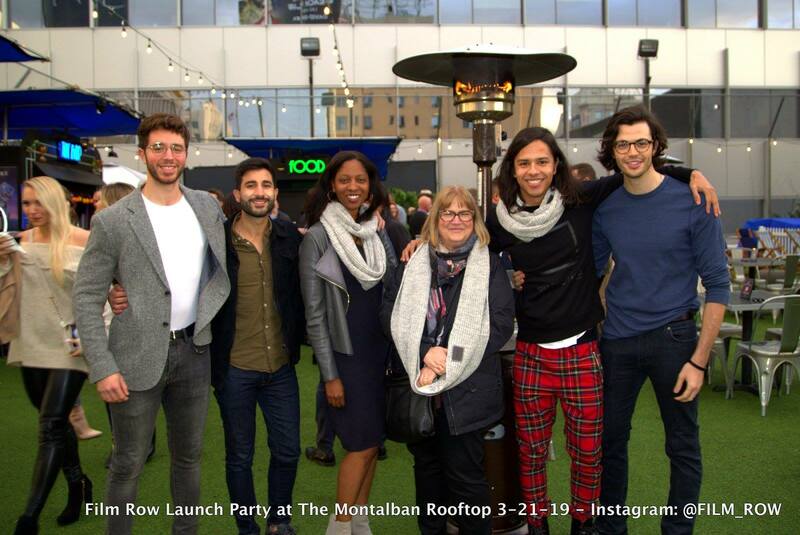 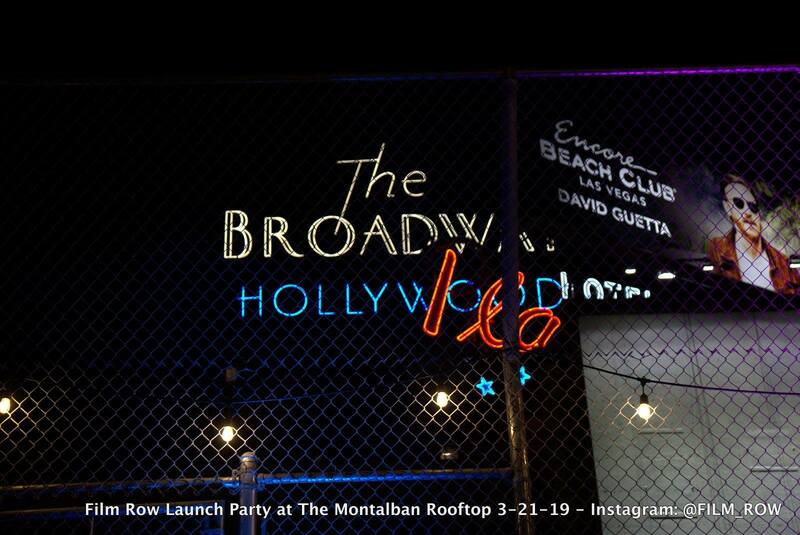 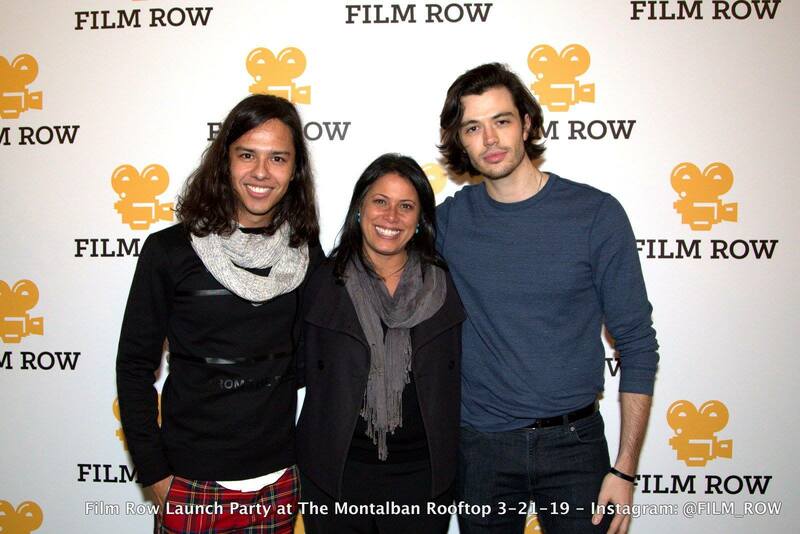 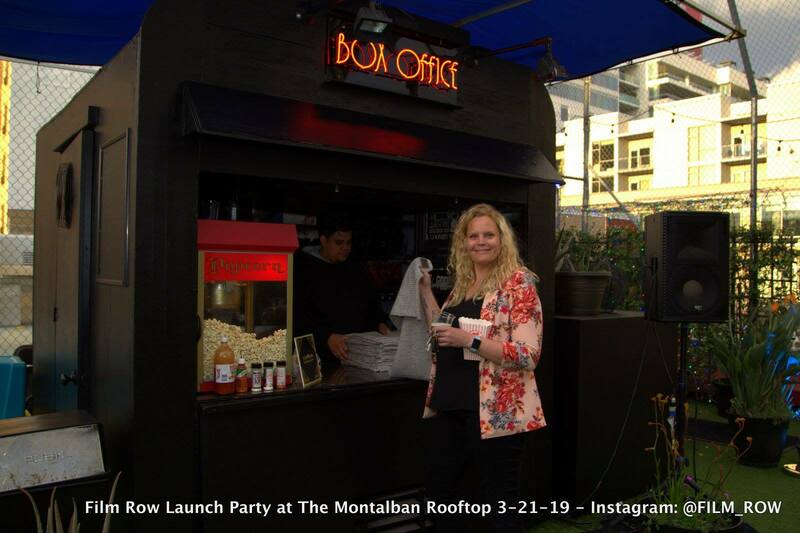 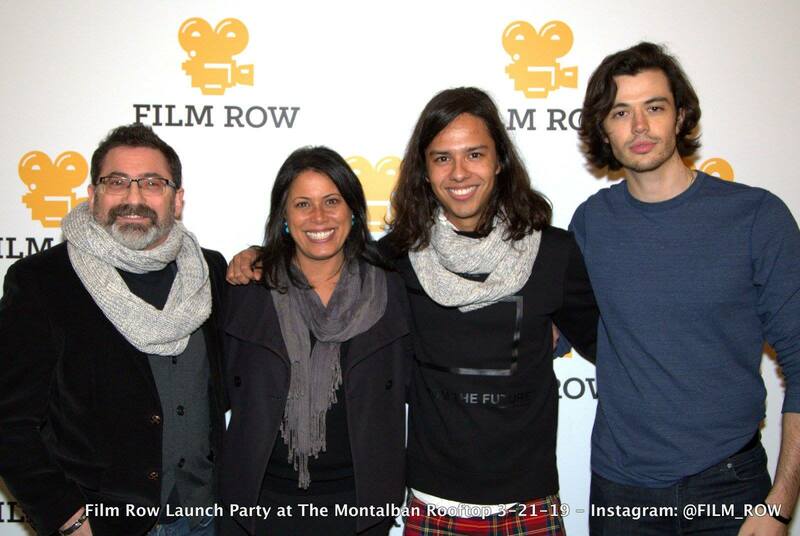 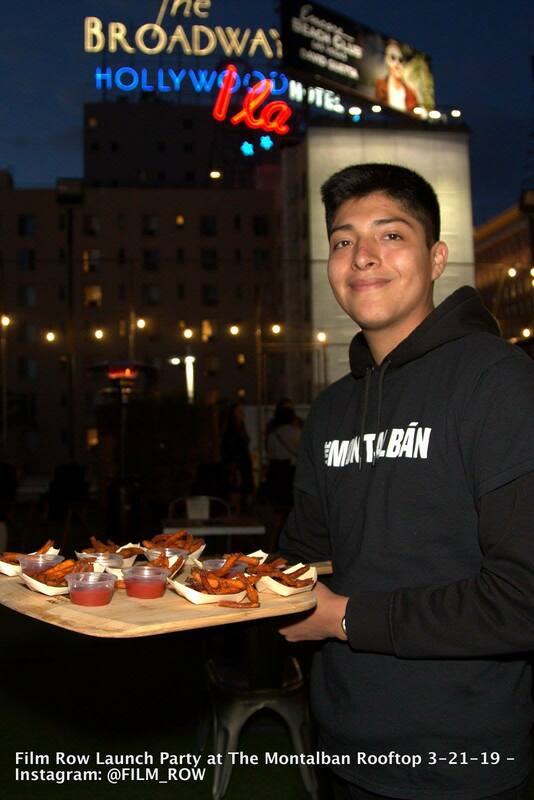 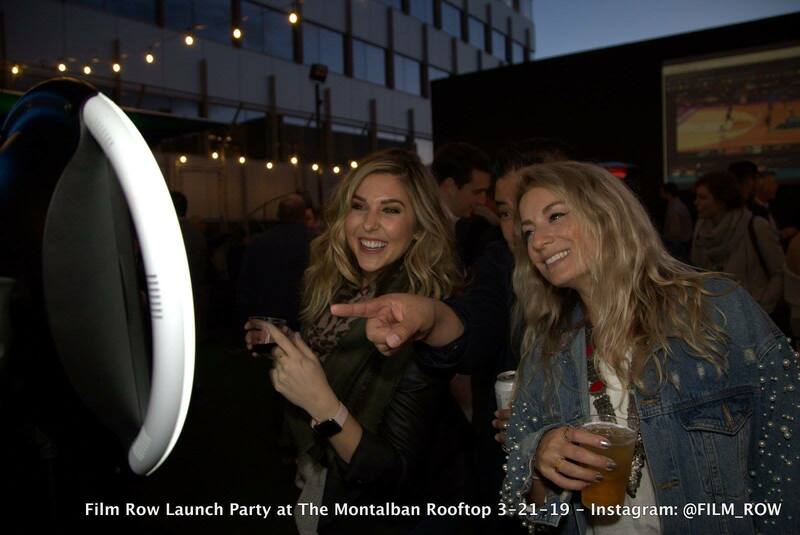 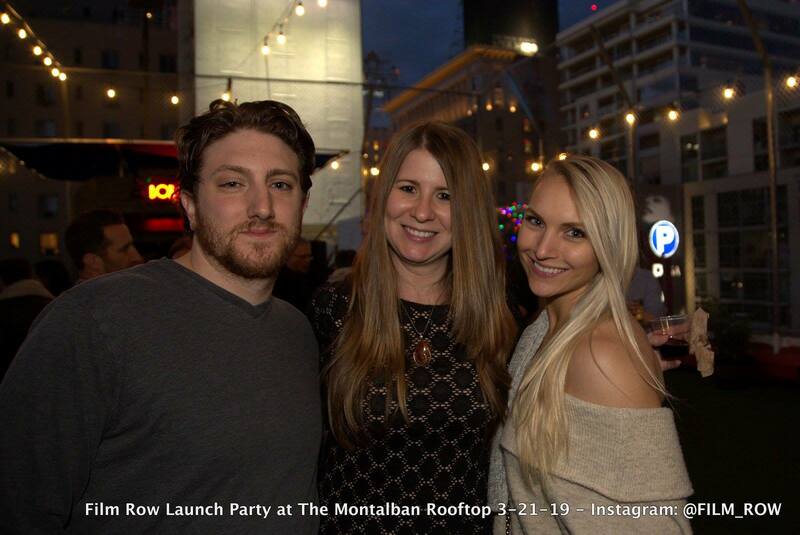 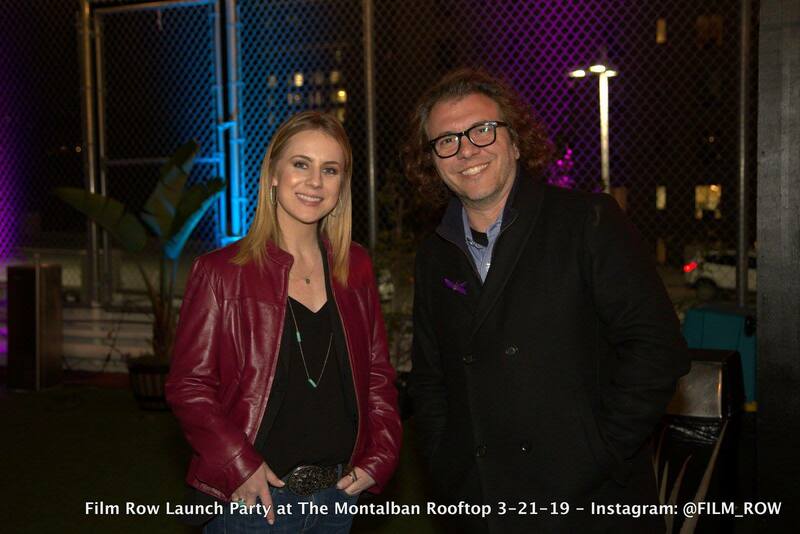 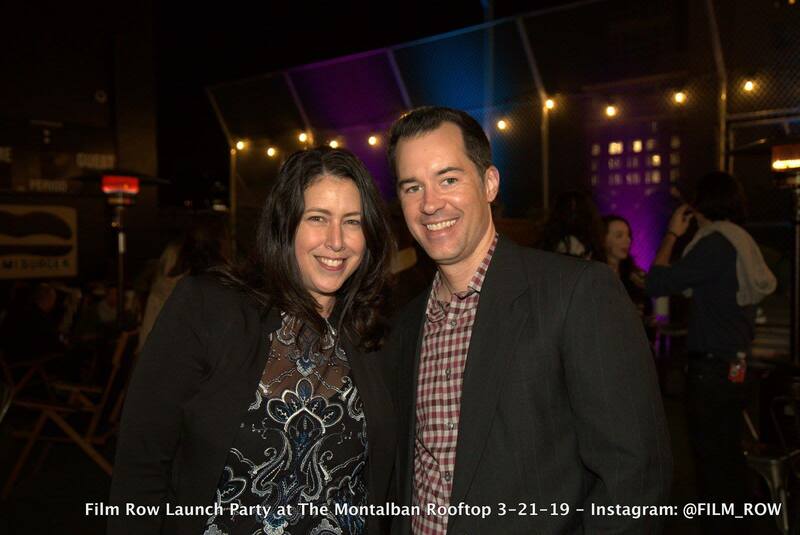 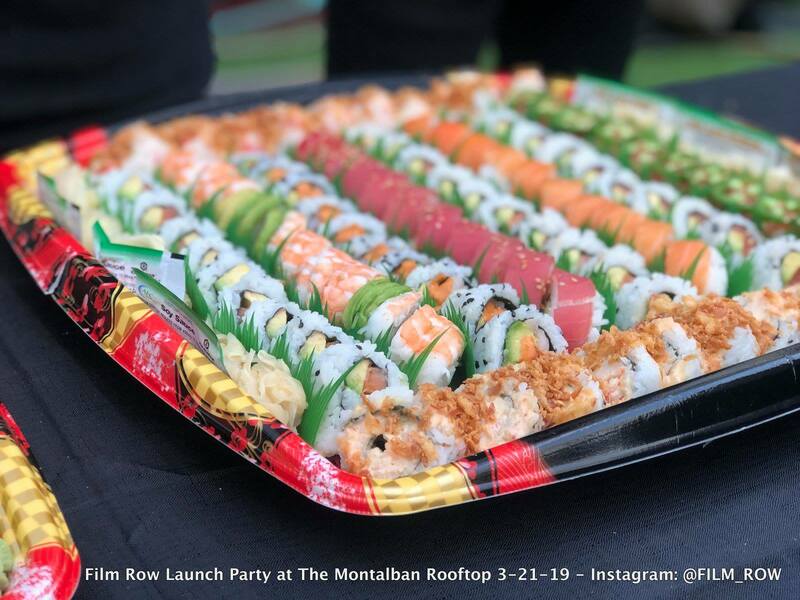 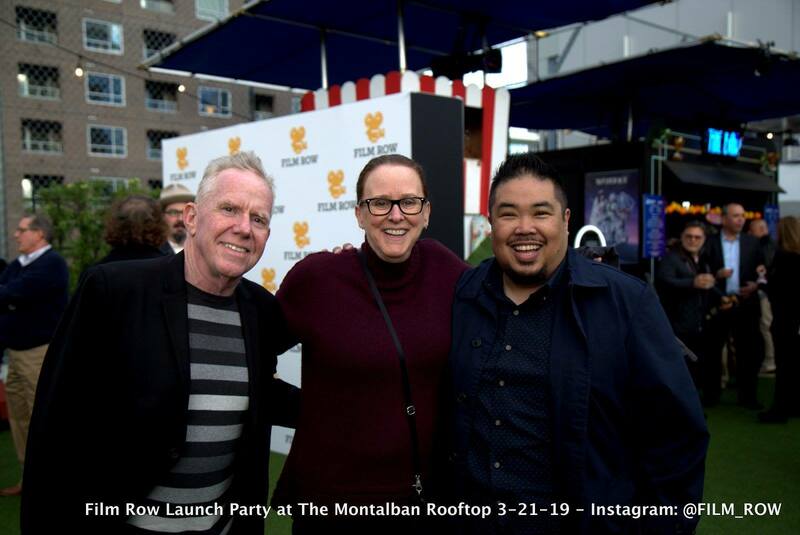 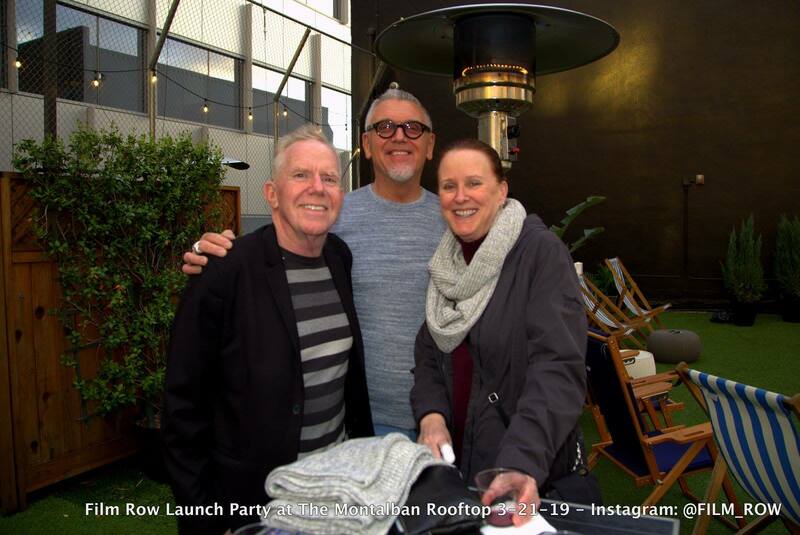 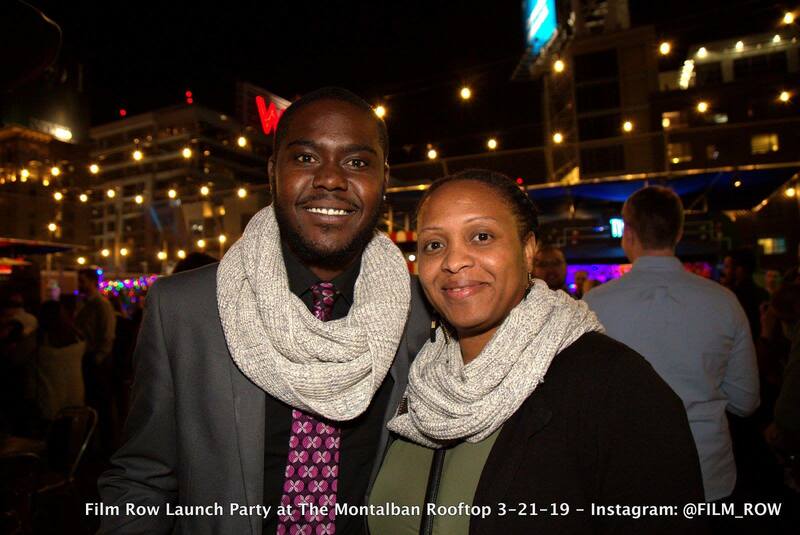 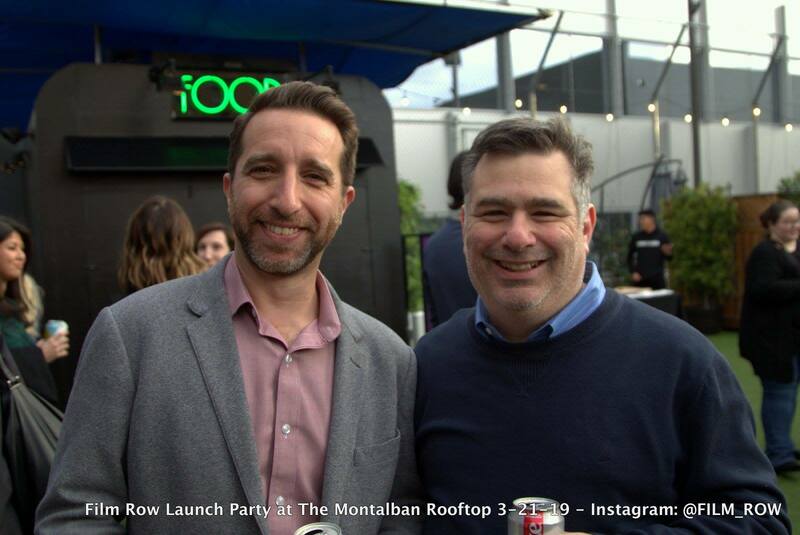 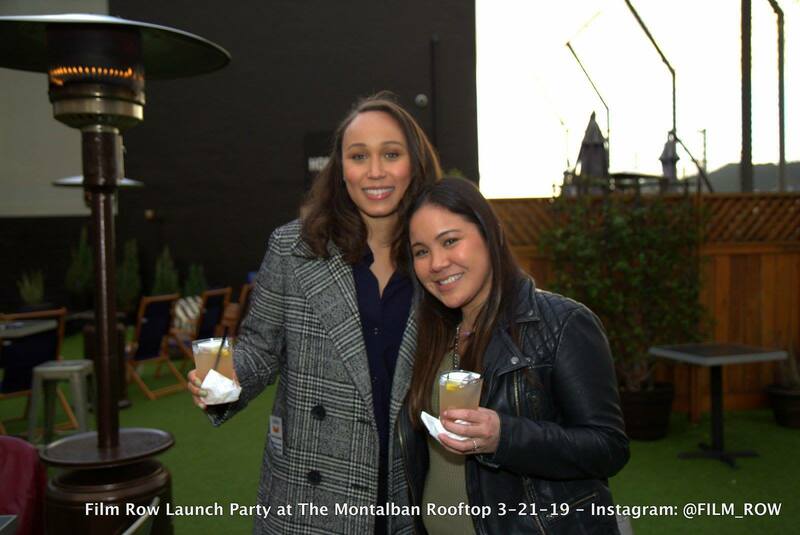 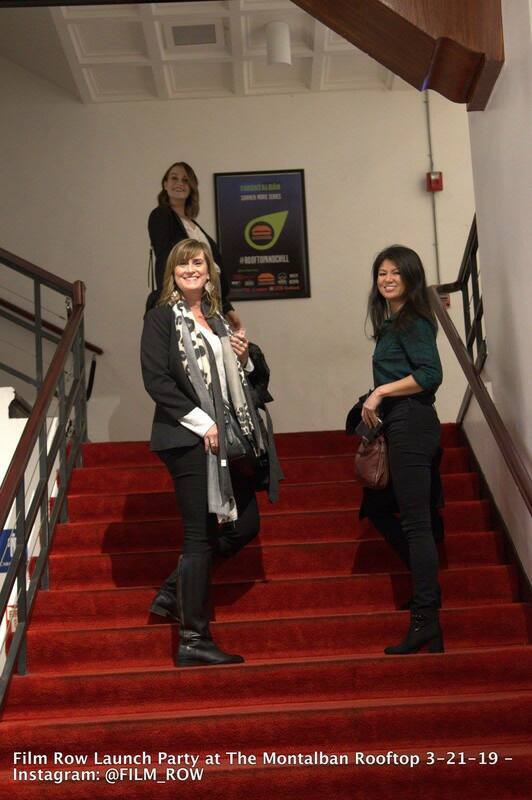 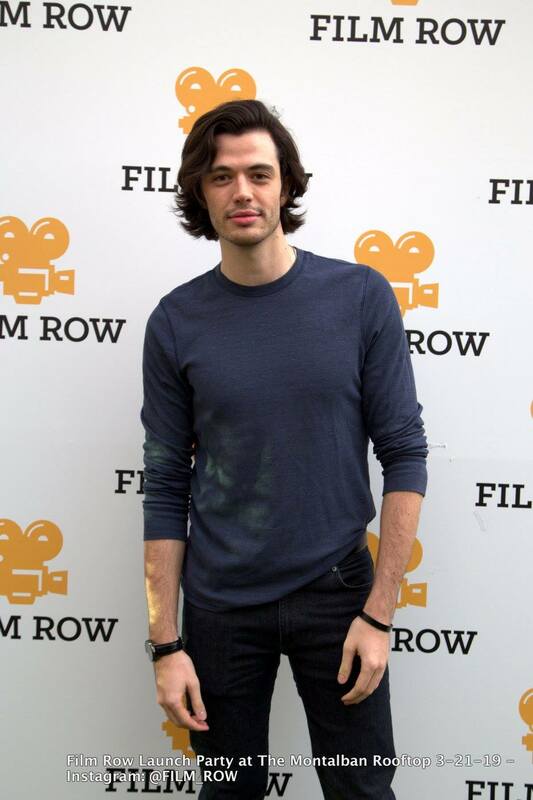 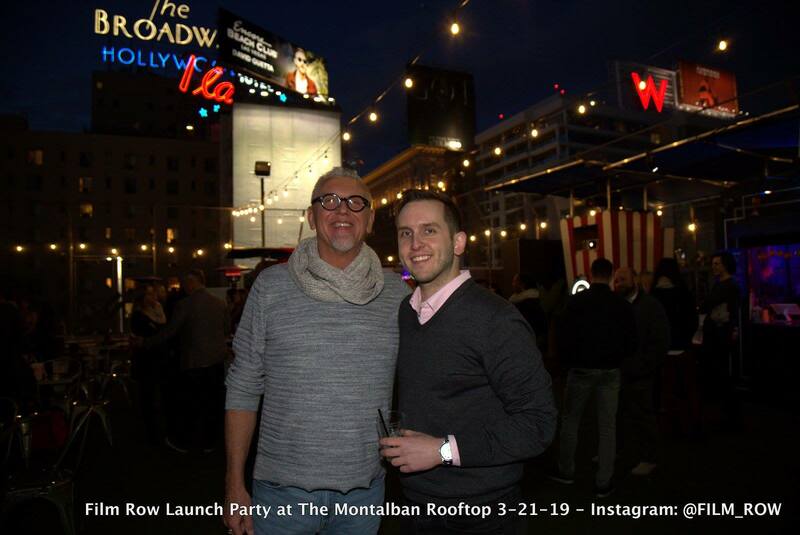 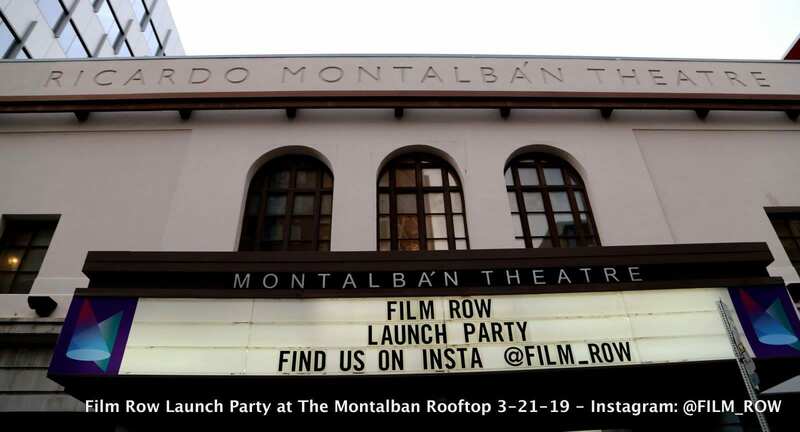 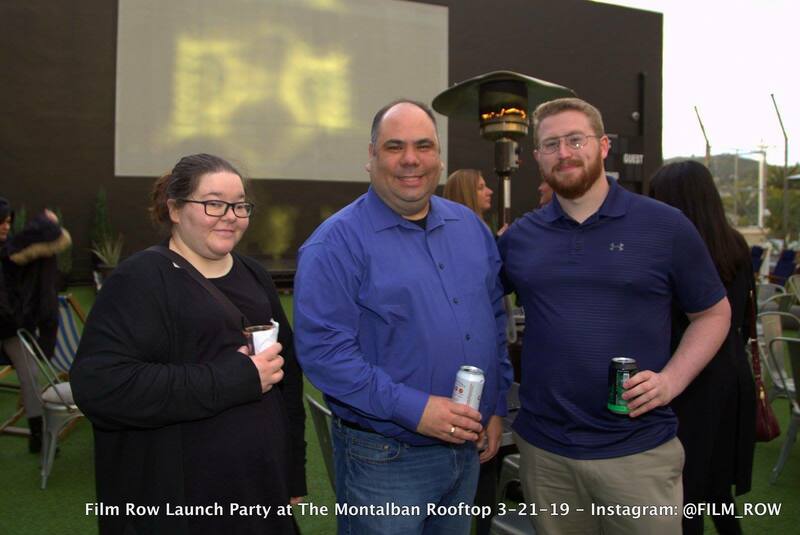 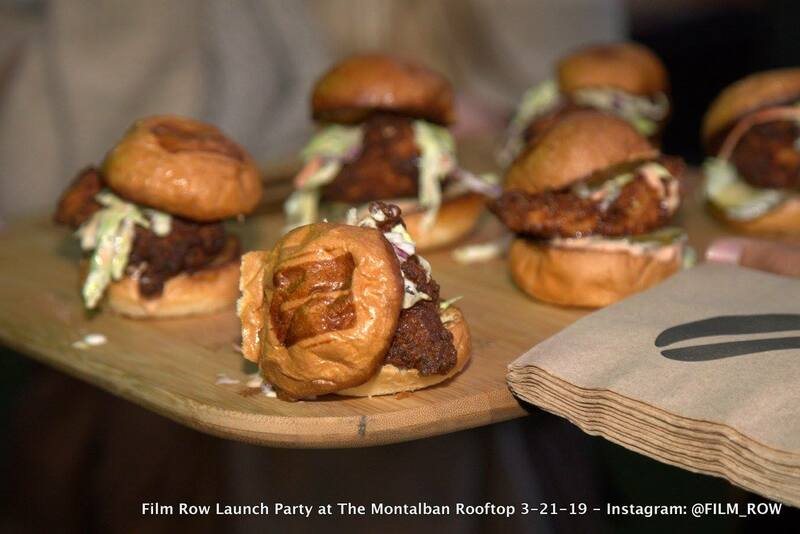 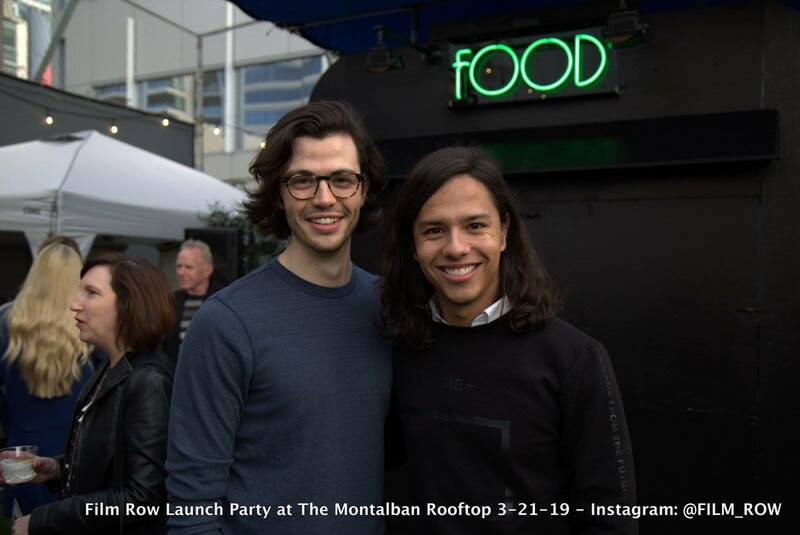 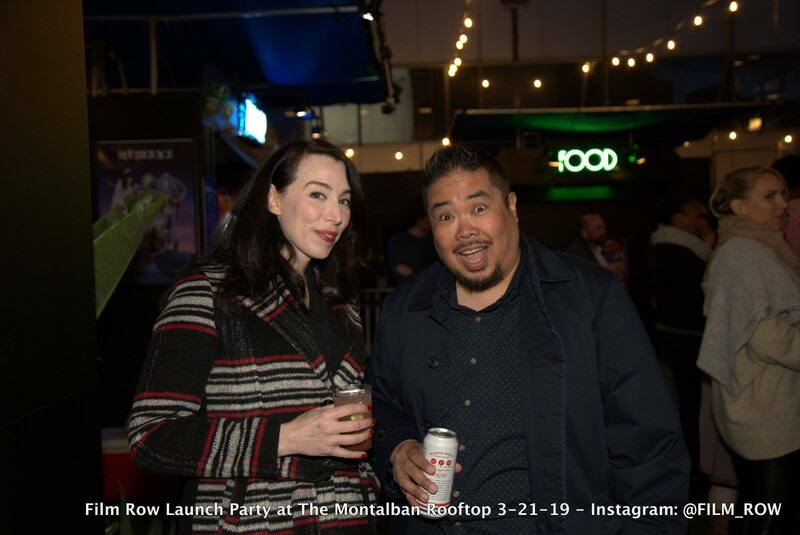 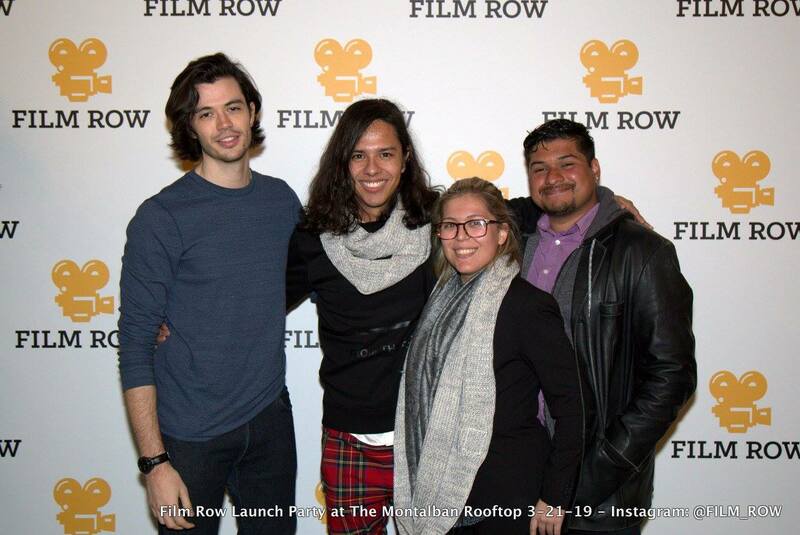 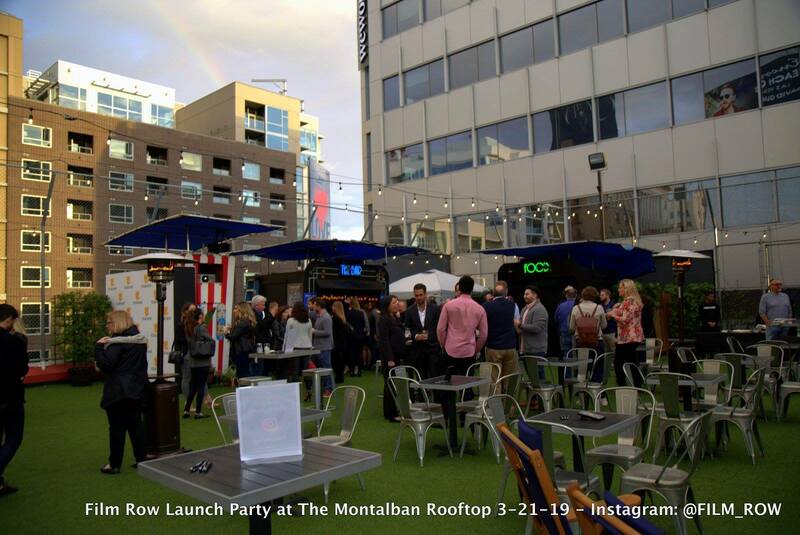 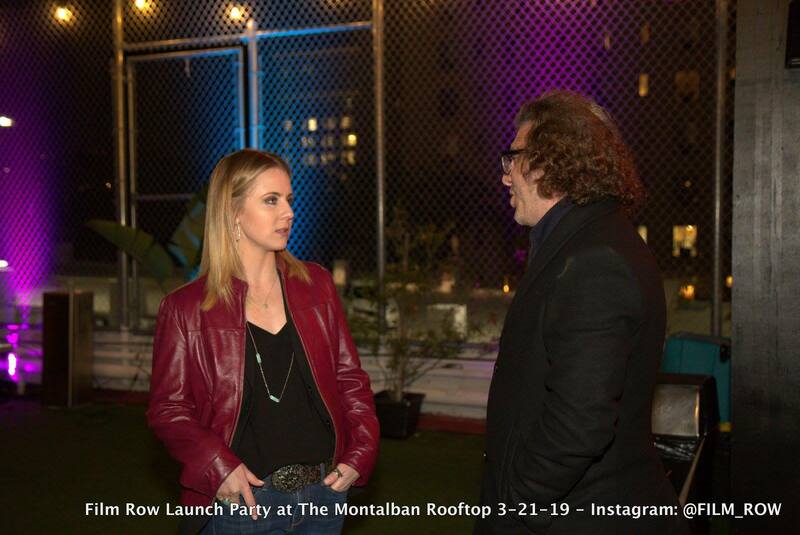 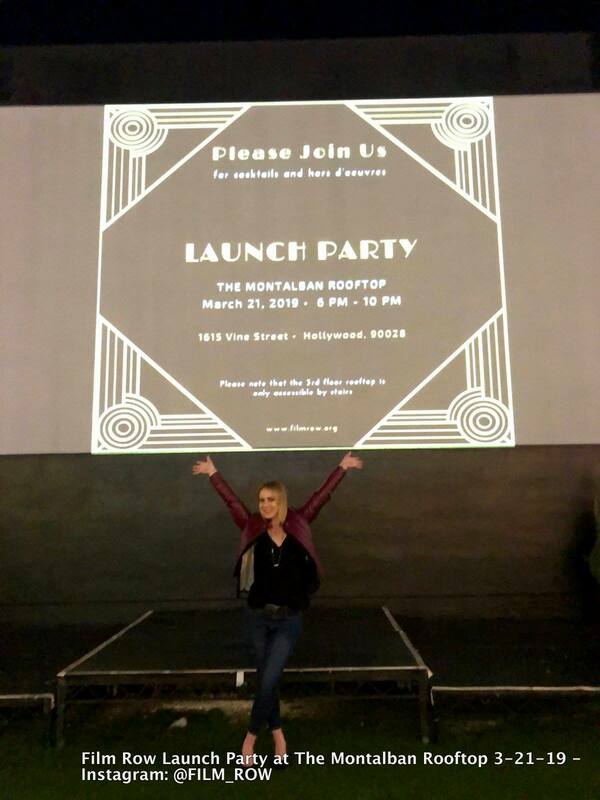 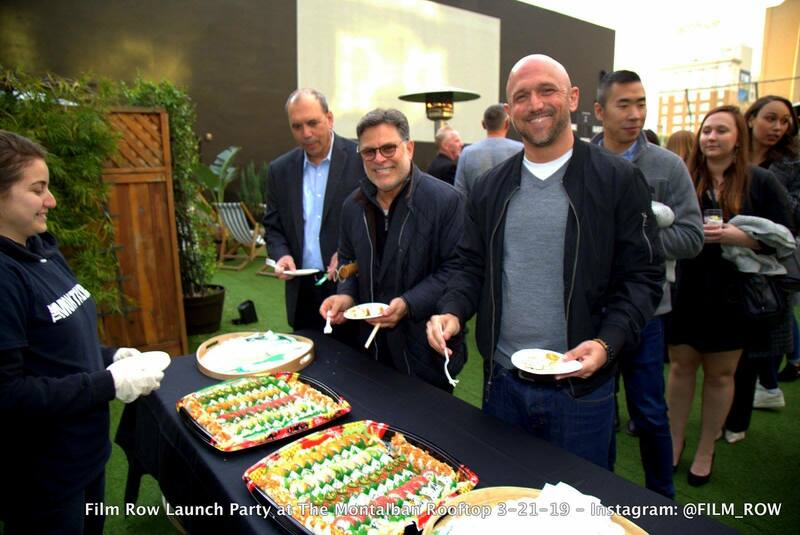 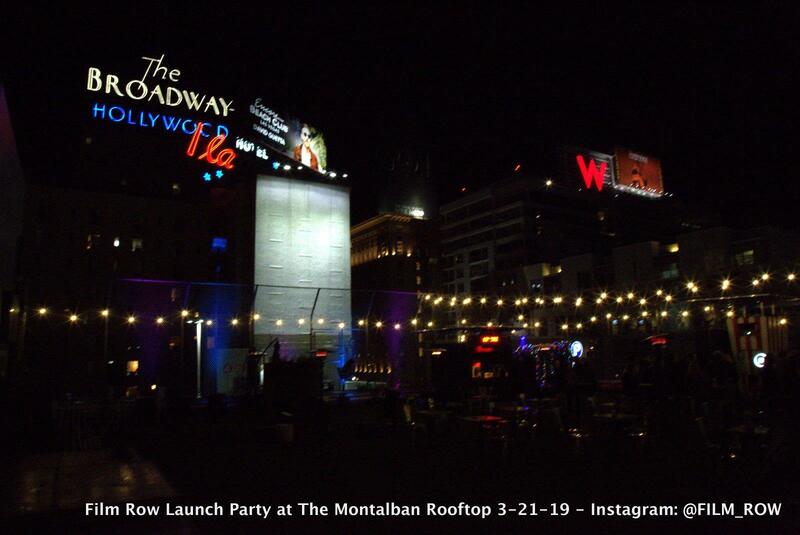 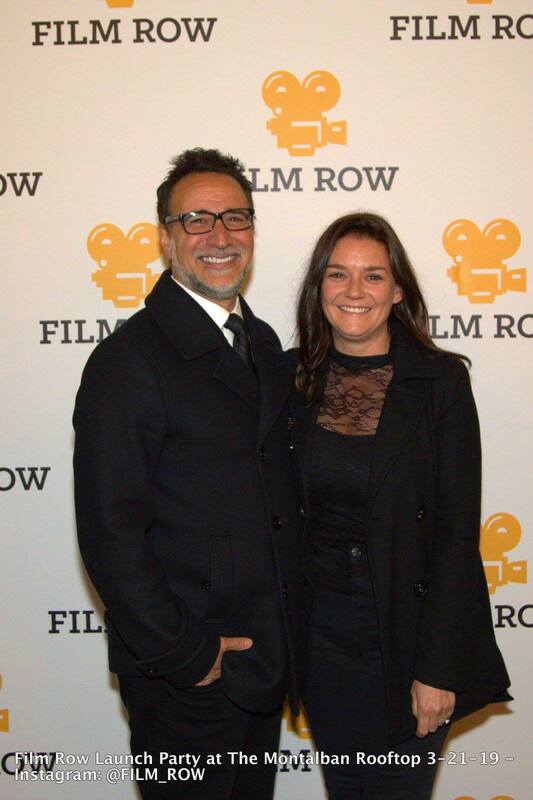 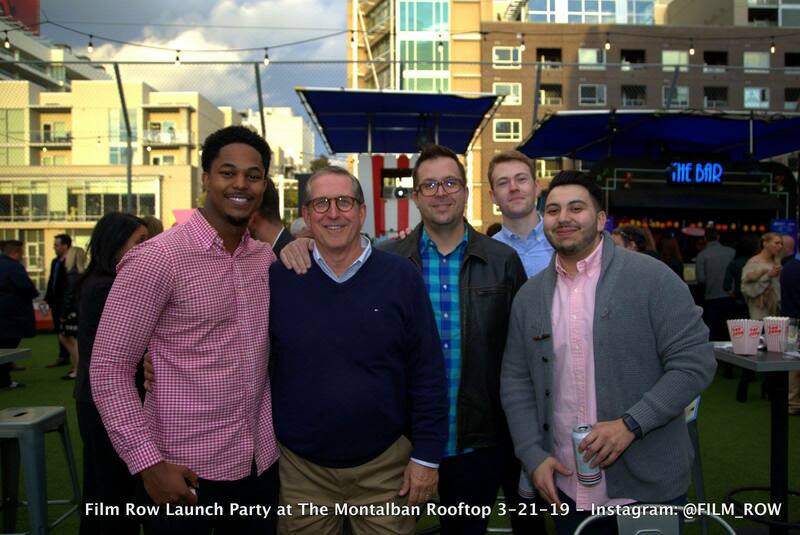 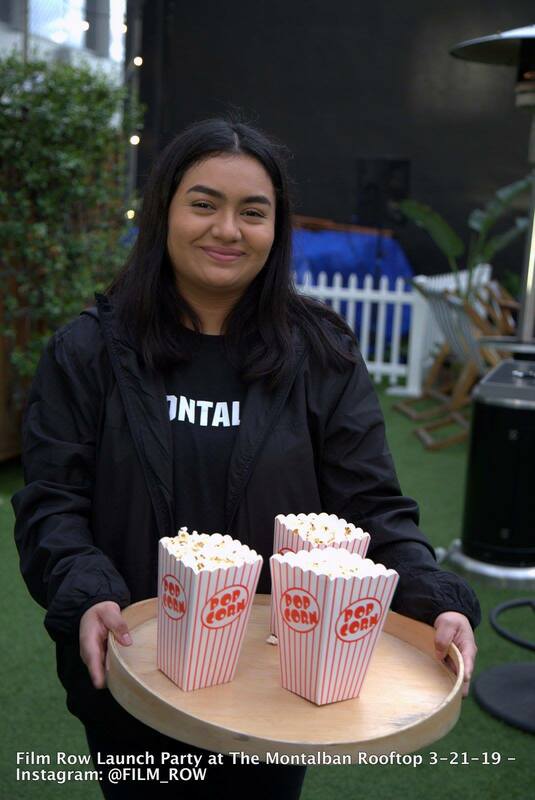 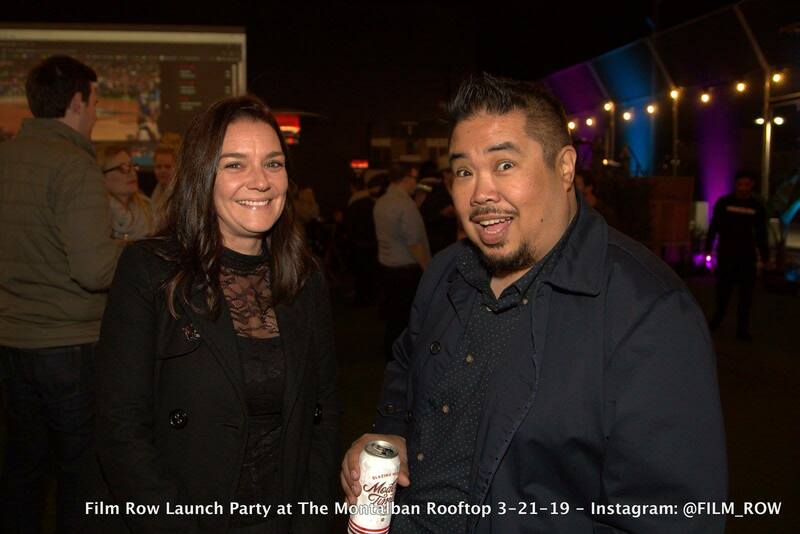 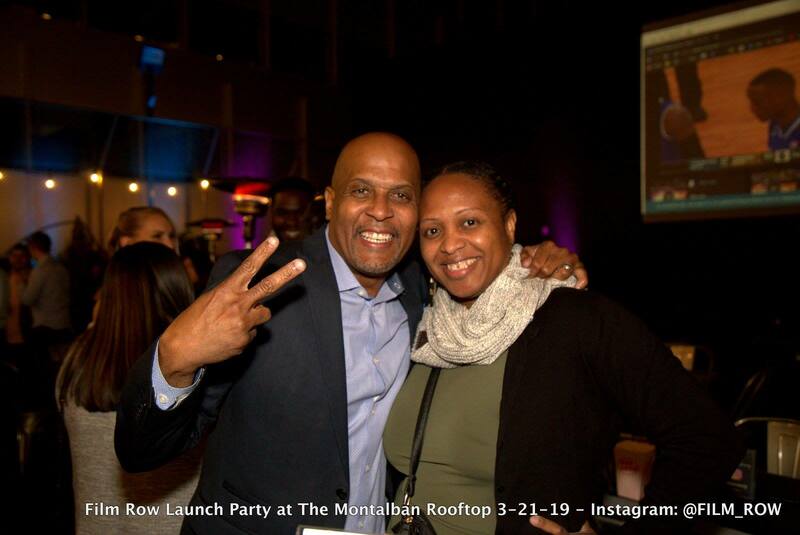 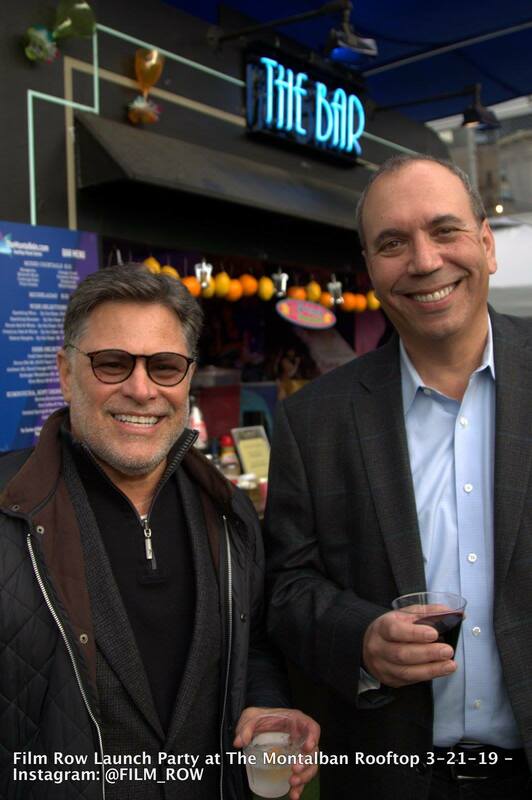 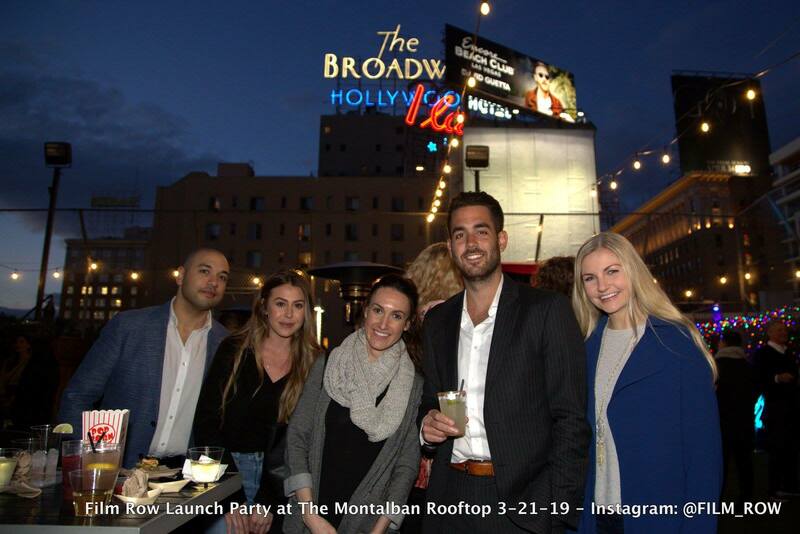 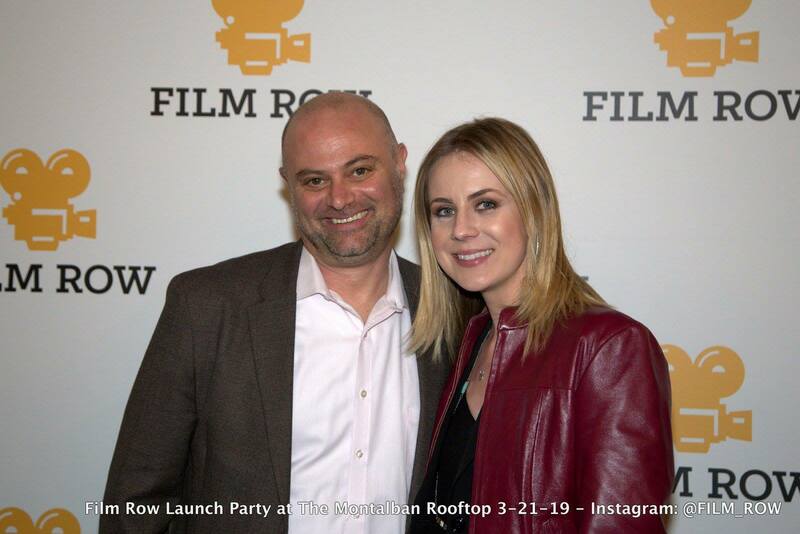 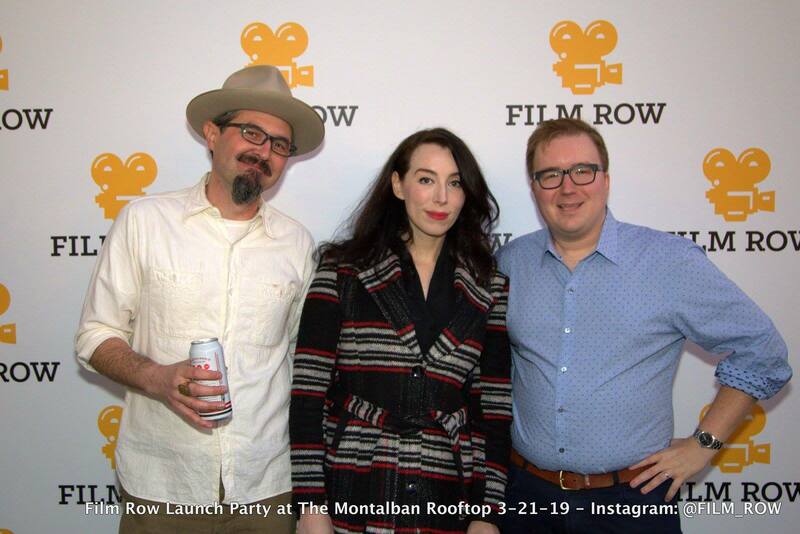 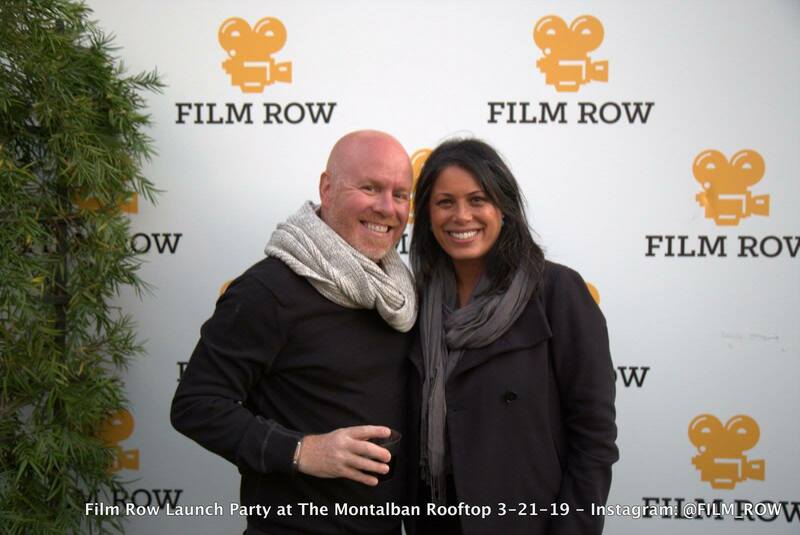 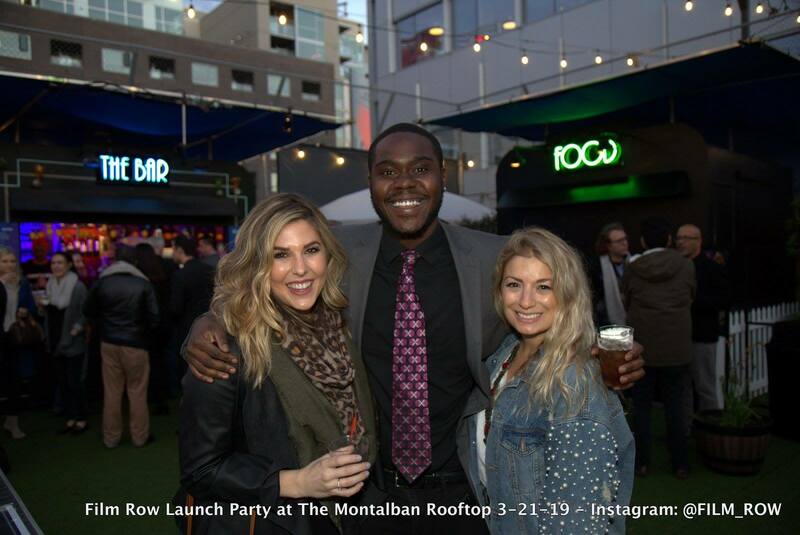 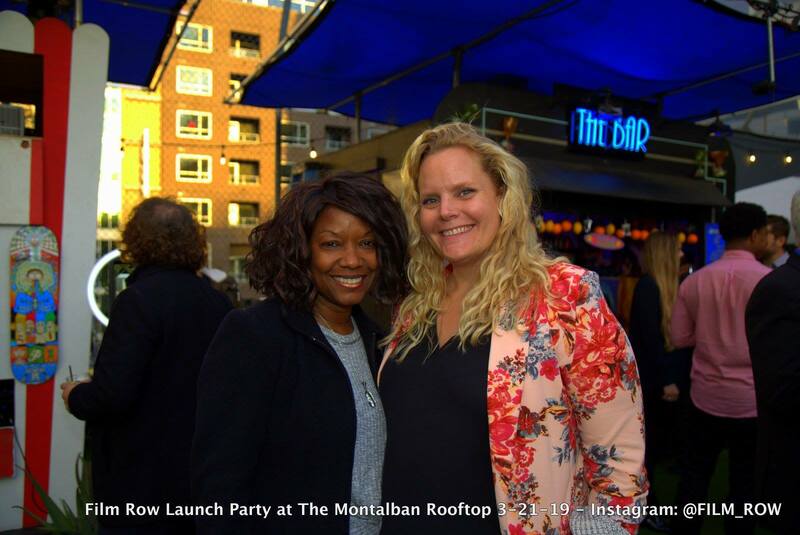 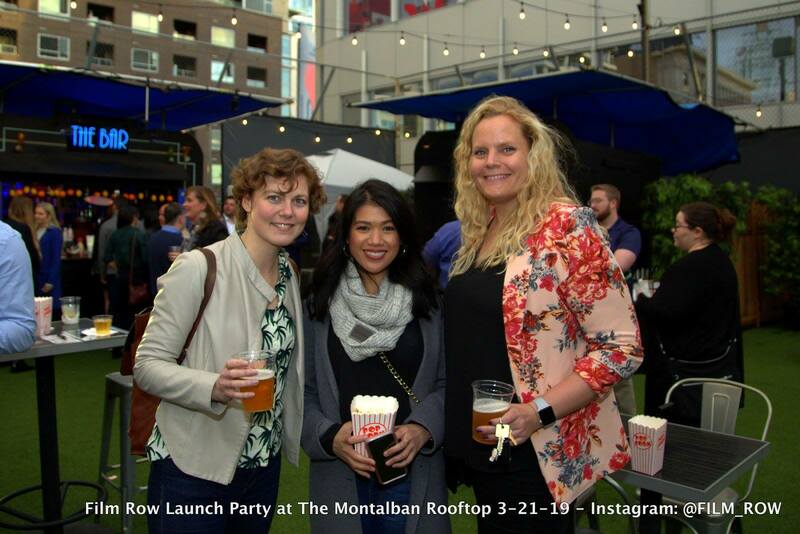 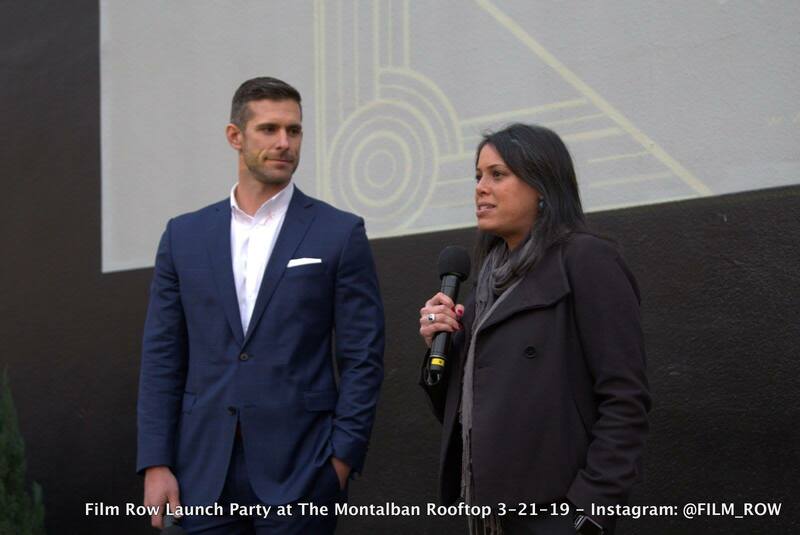 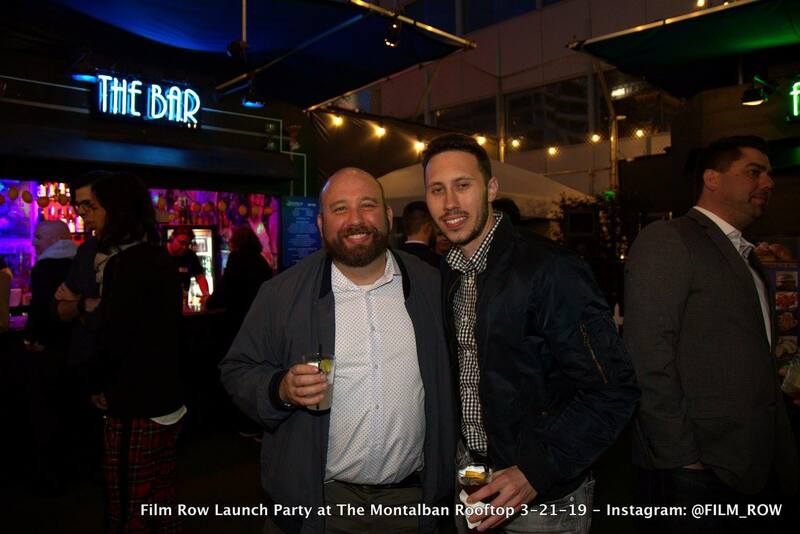 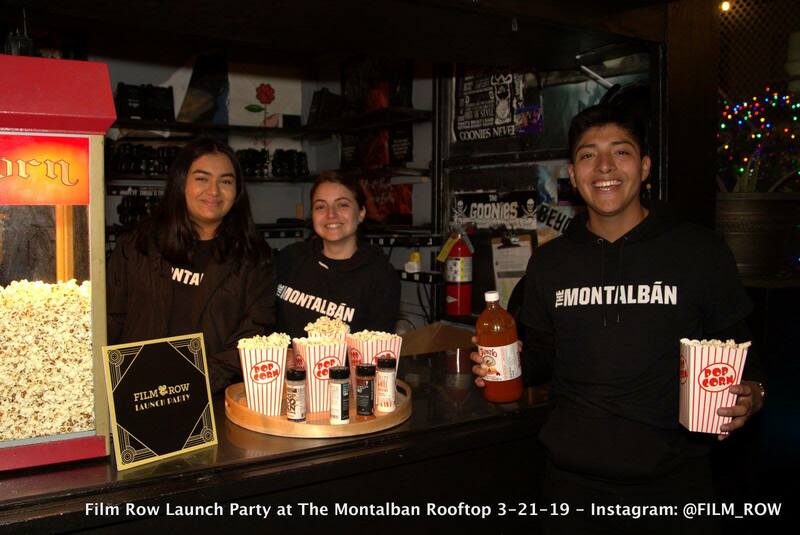 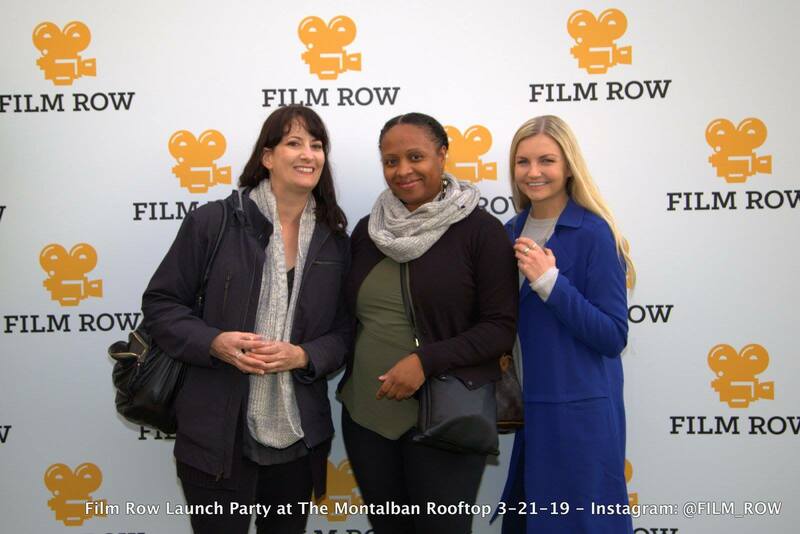 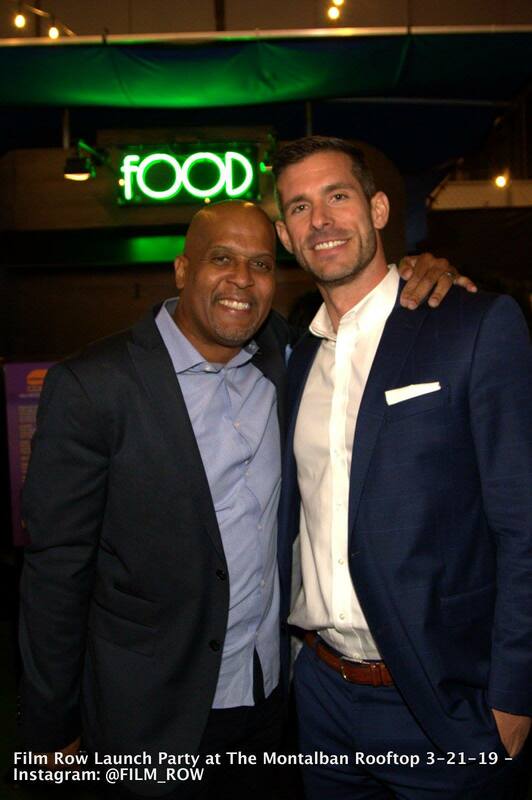 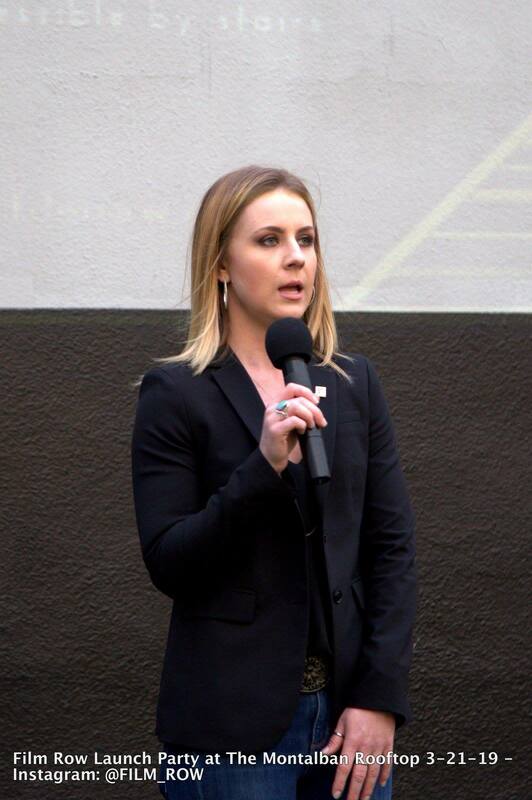 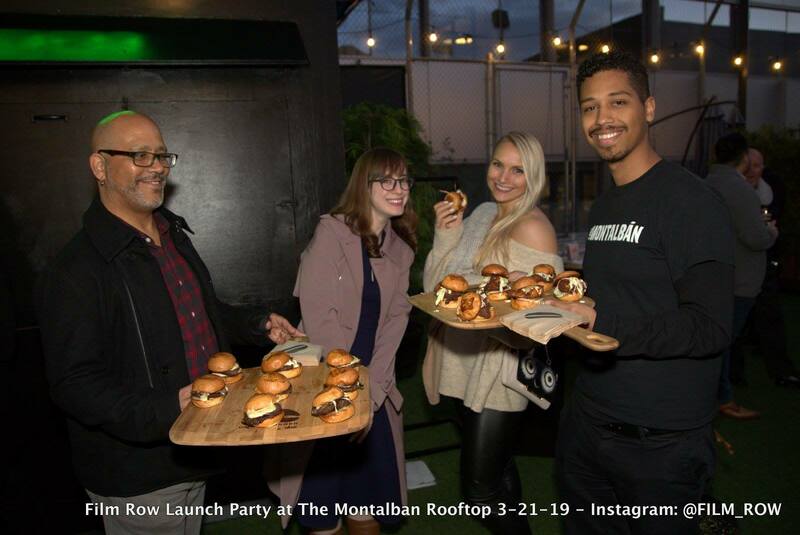 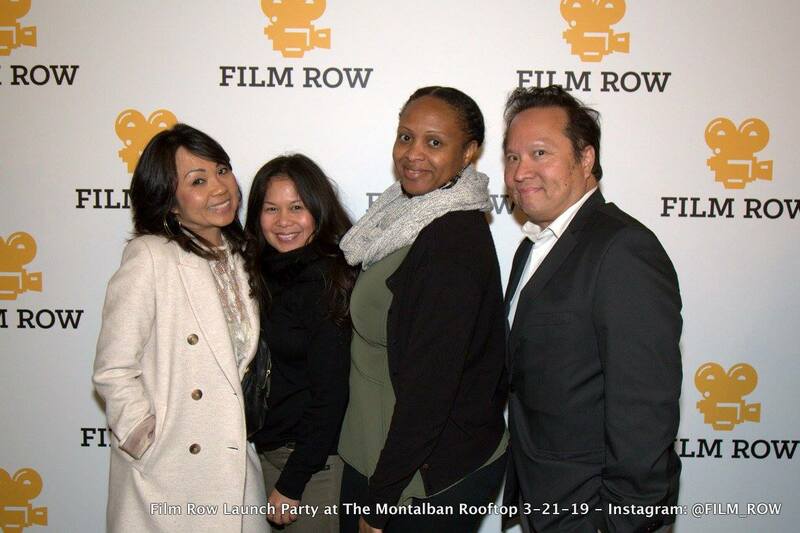 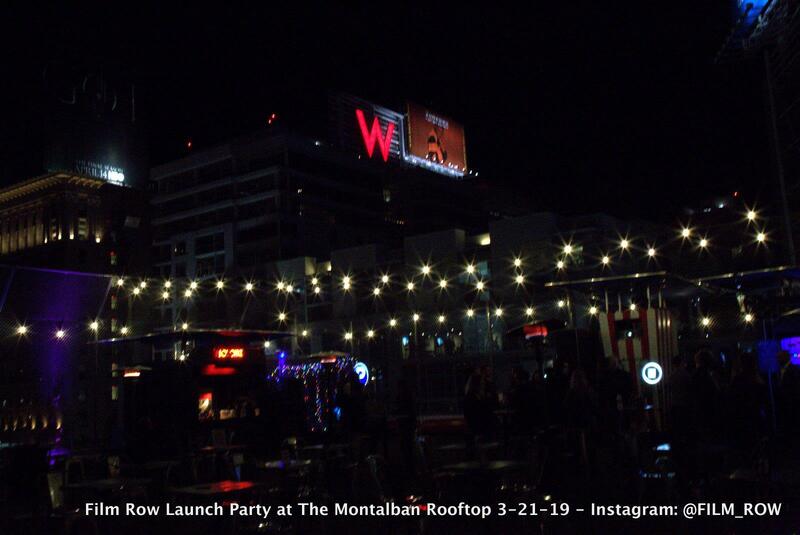 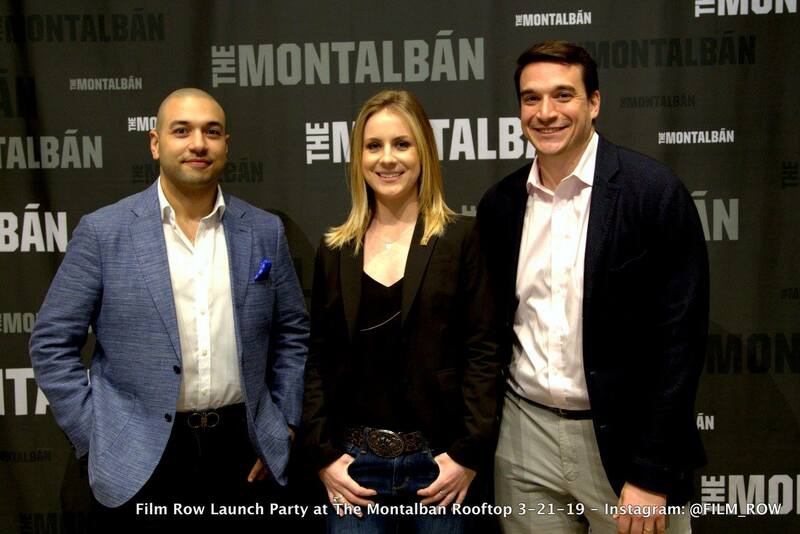 Film Row hosted a launch party on March 21st at the historic Ricardo Montalbán Theatre in Los Angeles to officially announce itself to the entertainment community and encourage participation. 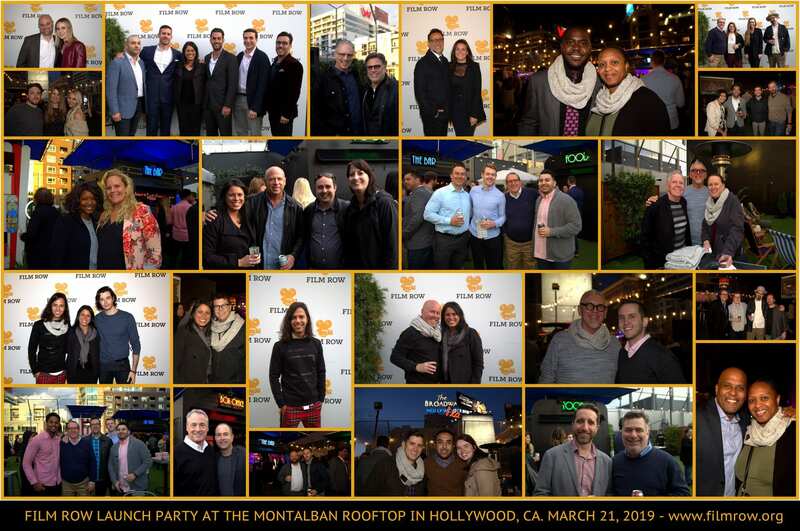 The event was well attended by industry members including executives such as Kyle Davies, President of Domestic Distribution, Paramount Pictures and Bob Lenihan, President of U.S. 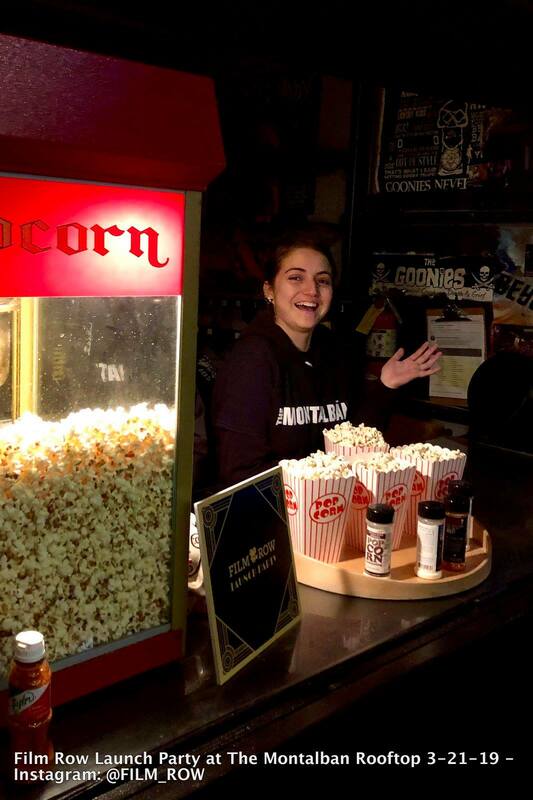 Programming, AMC Theatres. 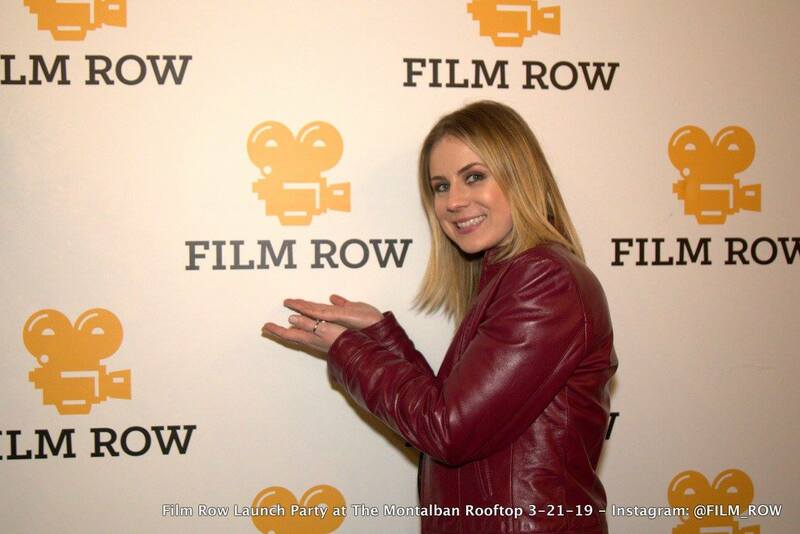 For more information, visit www.filmrow.org or email FilmRowInfo@gmail.com.